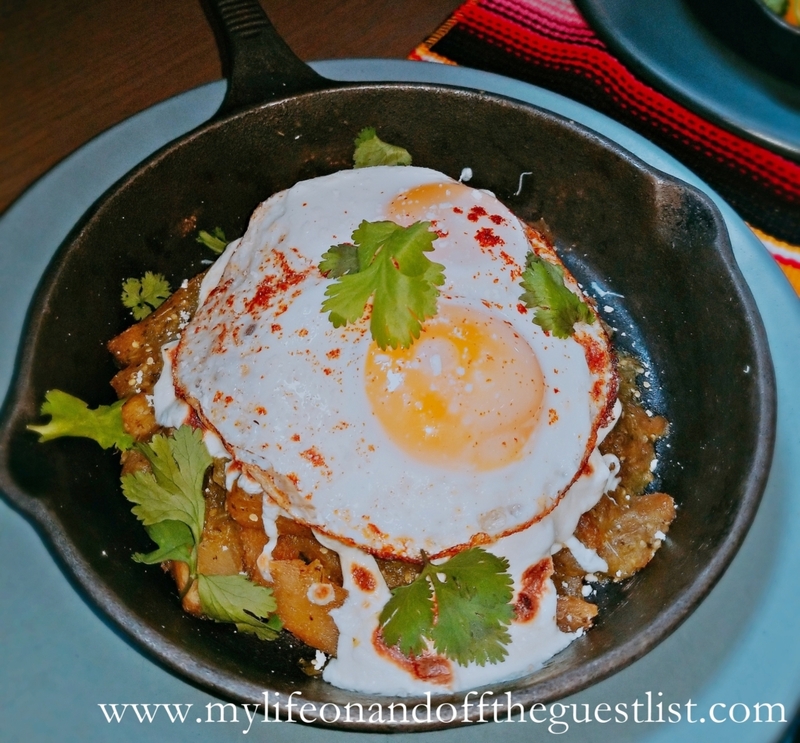 Is Boozy Brunchacha at Vida Verde the Best Brunch in NYC? We had the great pleasure of finding out for ourselves. 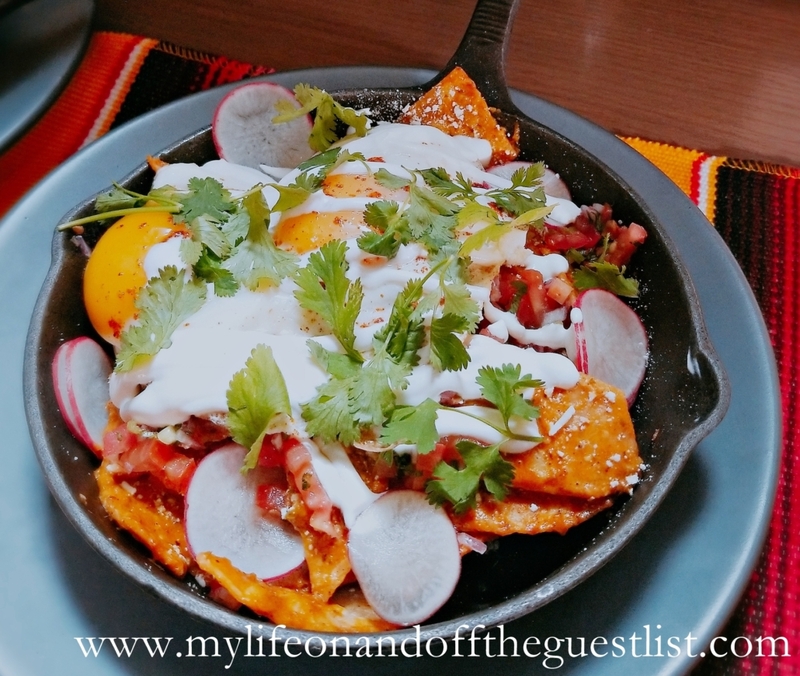 Join us as we regale the tale of the very indulgent culinary journey we took to find out if the new Boozy Brunchacha at Vida Verde is the best Sunday brunch you will ever experience. 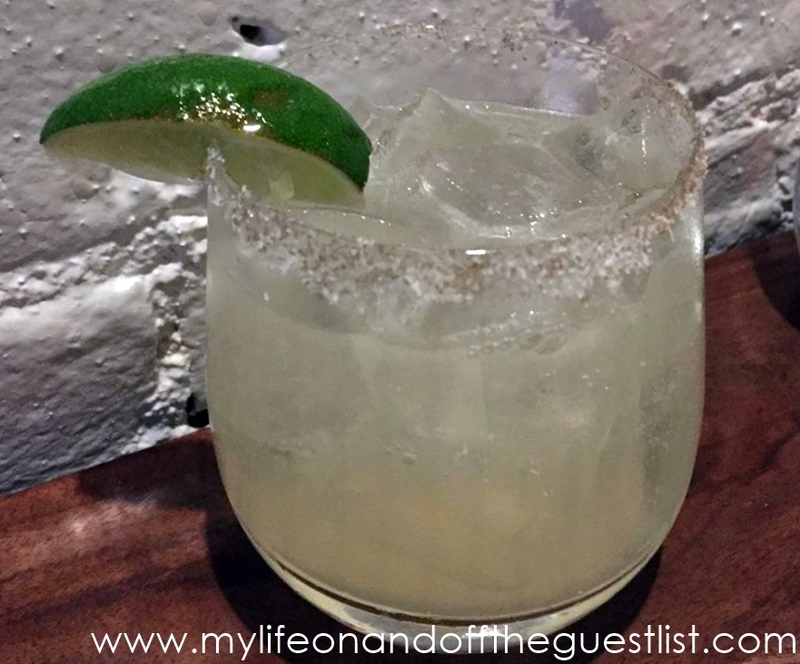 If you are not yet familiar, Vida Verde is a Mexican-inspired cocktail bar tucked away in the sometimes stiff neighborhood of midtown west. To say it is a colorful and most welcomed oasis in the middle of a concrete desert is an understatement. Honestly, you can get lost in the eye-catching colors and striking artwork that makes up the decor. 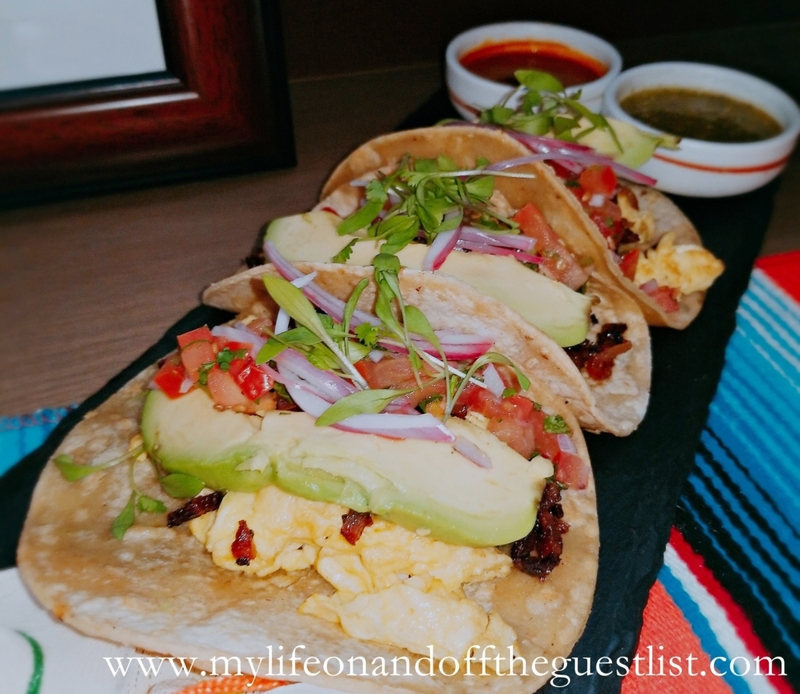 Let’s put it this way, imagine walking into a secret room of a grey house filled with every bold color imaginable……that is what we thought when we arrived at Boozy Brunchacha at Vida Verde Cocktail Bar. The Boozy Brunchacha at Vida Verde promised a fantastic line up of specialty cocktails by Vida Verde’s star bartenders, a Mezcal tasting, an amazing taste of their brunch specialties menu including tacos, tortas, small dishes, and desserts. It did not disappoint! First up was delicious cocktails that celebrated the colors of the rainbow. We indulged in the Mango & Habanero Margarita, Paloma de Tamarindo, Classic Frozen Margarita, Red Sangria, and the amazing Juna Punch Wonder Punch Bowl which is as delicious as it is vibrant. 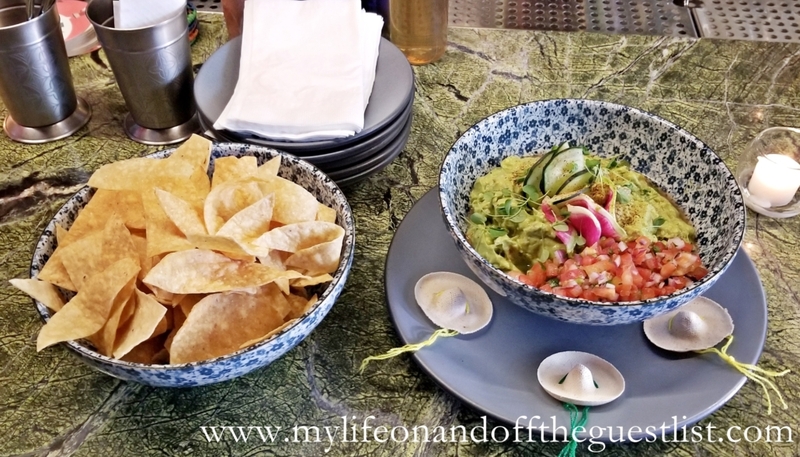 We enjoyed these wonderful libations with a round of light bites including Chips, Salsa and Guacamole….to start. After we were properly soused with our starter cocktails, it was time for the Mexcal tasting. We learned all about the cultivation, harvesting, cooking, fermenting, and distilling processes of some of Mexico’s leading Mezcal brands. Some of which we got to sample. Vida Verde actually offers classes on spirits daily, so if you’ve ever wanted to learn more about your favorite alcohol or get to know a new one, Vida Verde is the place to be. The extensive brunch menu features so many choices. 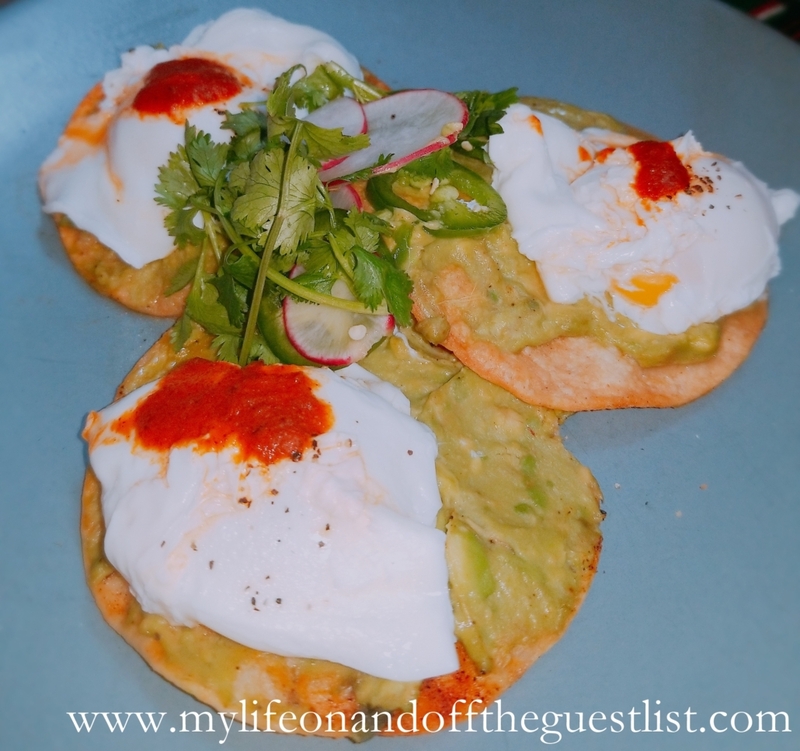 Some of Vida Verde’s Boozy Brunchacha brunch menu items we enjoyed included Chilaquiles, Mexican Poutine, Grilled Steak Fajitas, Huevos Rancheros, Breakfast Torta, Avocado smash on Tortilla, and Garden Frittata, many of which are pictured above and below. Our most gluttonous moment came when we first laid eyes on the Aztec Pancakes. The word divine doesn’t begin to do justice to how delicious this banana, brown sugar, cocoa, and whipped cream delight, so we’ll just let you droll over the below photo and tell you to visit Vide Verde to experience it for yourself. As we previously stated, your boozy Brunchacha at Vida Verde experience comes with a pinata, making your time there even more wonderful. While you are no doubt enjoying your boozy Brunchacha at Vida Verde surrounded by the amazing artwork, let the spirit of Frida Kahlo inspire you to explore Vida Verde’s newly opened Rooftop Margarita Market. 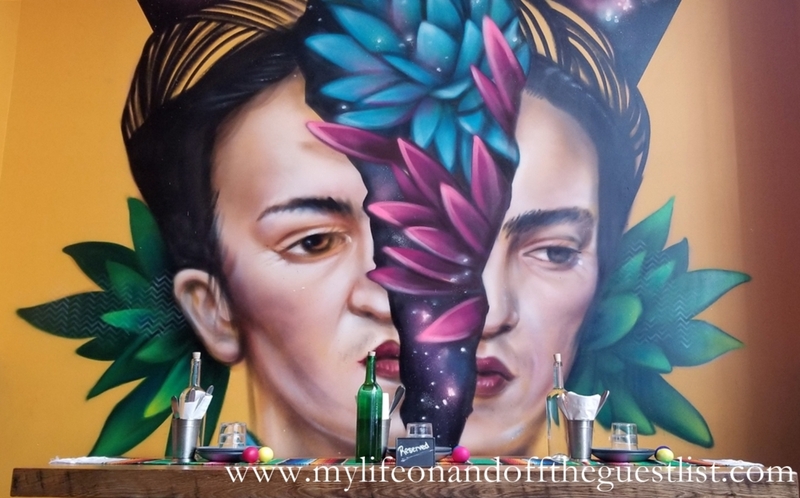 This hidden oasis boasts a stunning handpainted mural by renowned artist, Victor “Marka27” Quinonez, wonderfully colorful decor and a menu that promises 10 flavor varieties of margaritas. This is no surprise since Vida Verde is known to have the largest Mezcal and Tequila selections in NYC. 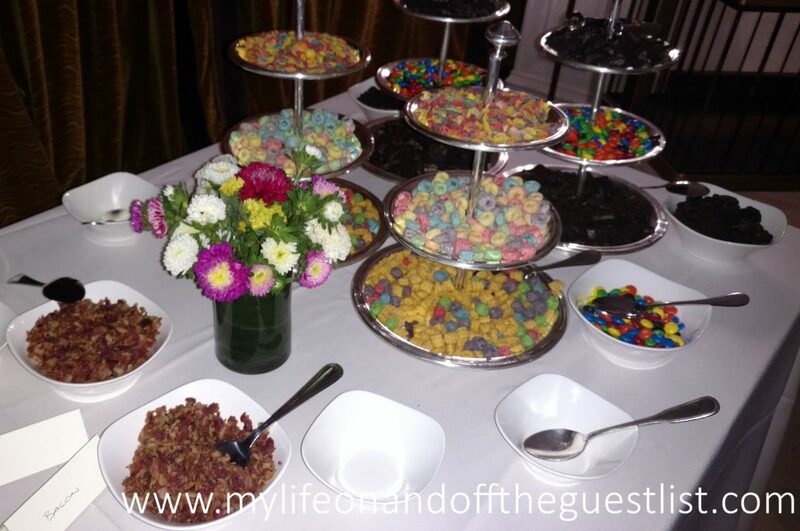 So to answer our question, there is no doubt this is the best brunch we’ve experienced. But don’t take our word for it, try it for yourself. 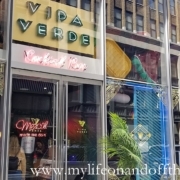 https://mylifeonandofftheguestlist.com/wp-content/uploads/2018/06/Vida_Verde_Cocktail_Bar_Exterior_www.mylifeonandofftheguestlist.com_.jpg 972 2000 Glasgow Skinner https://mylifeonandofftheguestlist.com/wp-content/uploads/2013/04/on-an-off-1030x151.png Glasgow Skinner2018-06-15 03:33:452018-06-15 03:40:41Is Boozy Brunchacha at Vida Verde the Best Brunch in NYC? 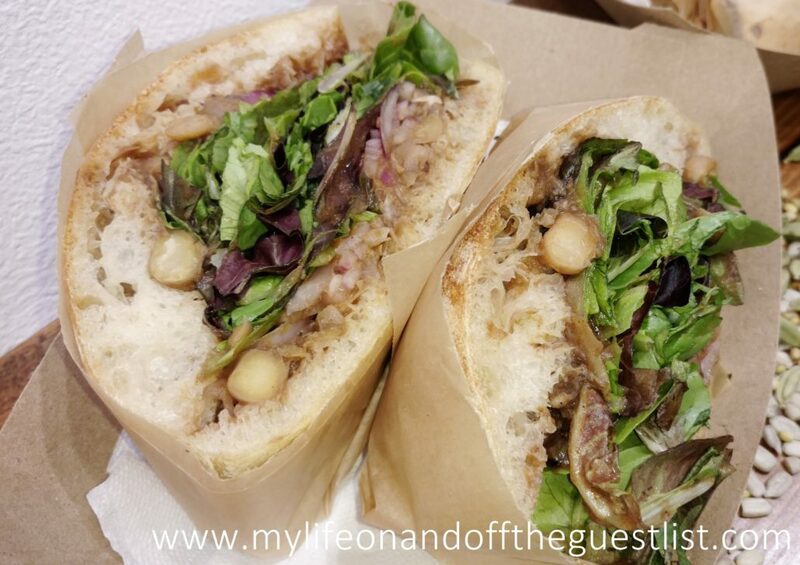 New York has changed so much, and while the foodie in us does appreciate every new restaurant or eatery opening, the love for staple neighborhood eateries will never change. 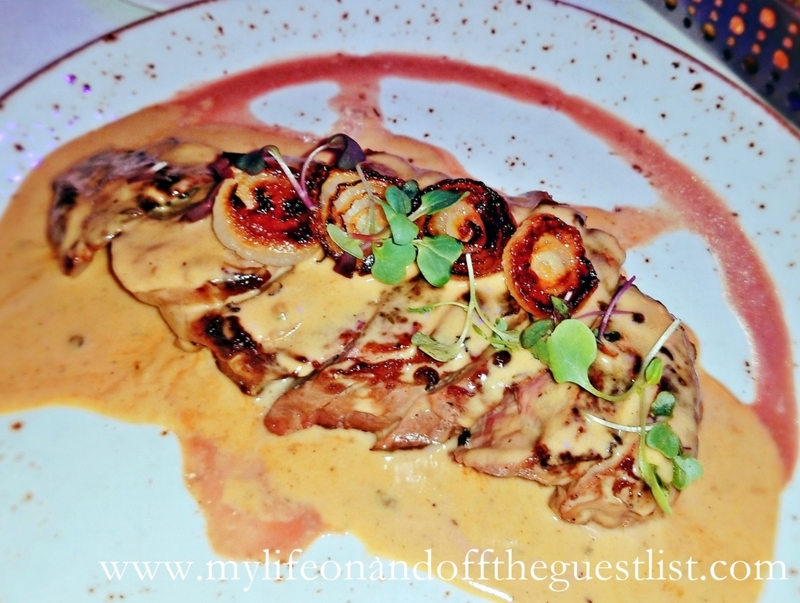 One such staple is French Mediterranean bistro, Bagatelle New York. The French word Bagatelle means “a trifle or a little nothing”, but there was nothing little about our culinary journey there. 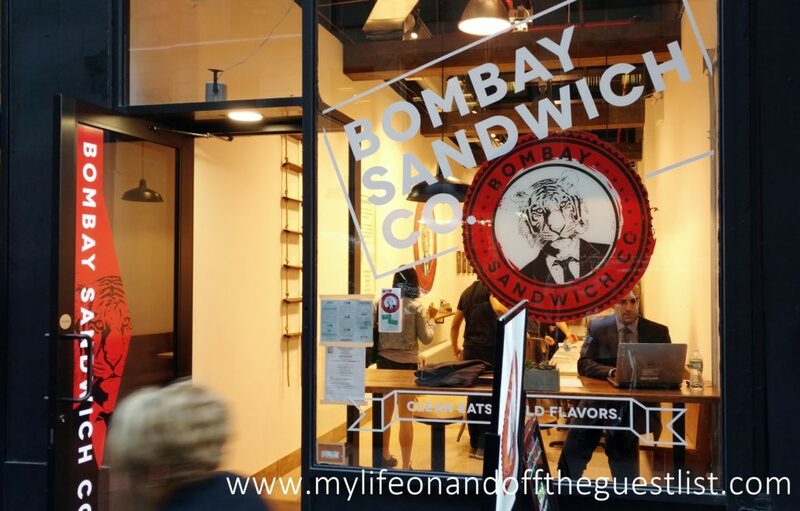 We had the delicious opportunity to feast at their flagship location in the Meatpacking District in New York. 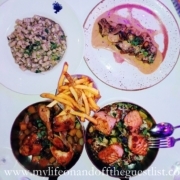 The esteemed restaurant’s menu has brought a European flair to the now, very modern MeatPacking District for years, with their outstanding seasonal cuisine. Their over-the-top-brunches, recurring musical tribute events Whitney Houston, Madonna, or Michael Jackson dance party, anyone? 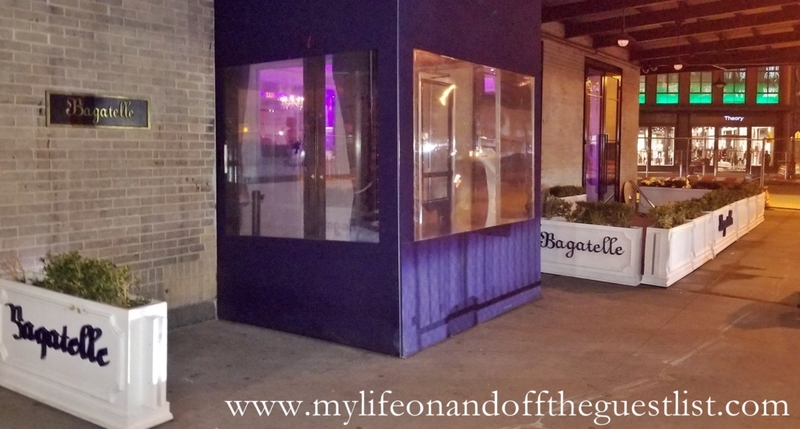 ), perfect balance of flavors of their popular signature dishes make Bagatelle New York a New York institution. So, of course, we jumped at the opportunity to partake in this culinary journey. 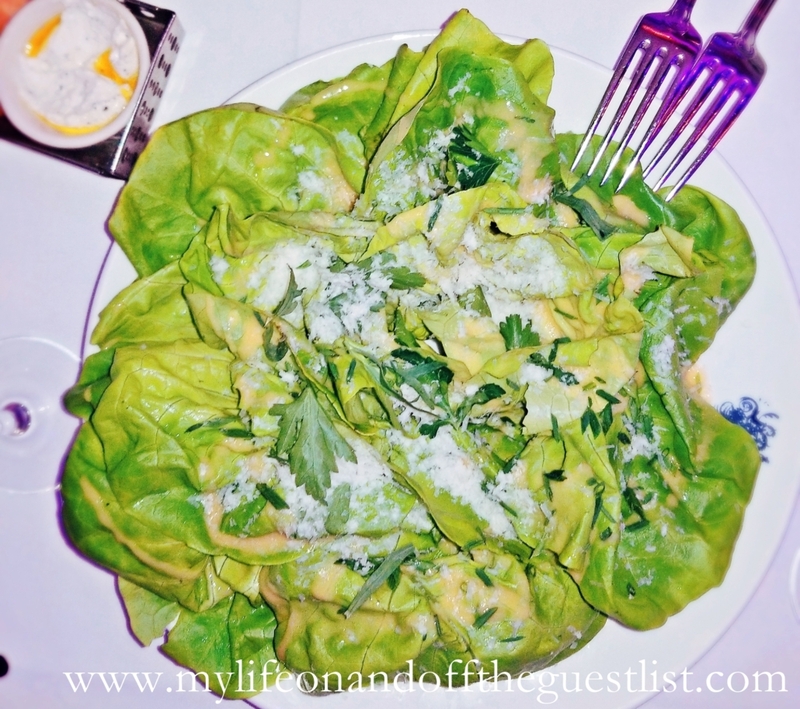 We started off our Bagatelle New York foodie adventure with this simple and leafy delight which features butterhead lettuce, fresh garden herbs, Parmesan cheese, and Dijon mustard vinaigrette. 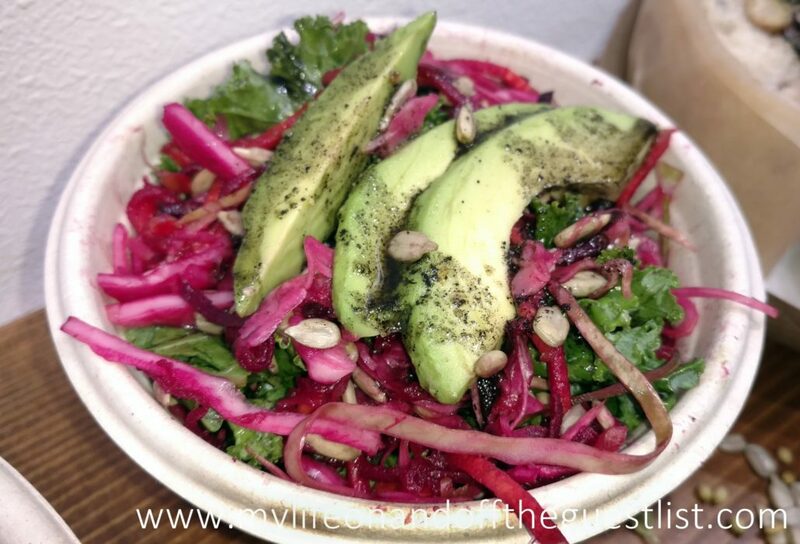 We usually go for salads that are layered in lots of different flavors and textures (there’s usually about 8-9 ingredients in our salads); but we were pleasantly surprised when we found ourselves going back for more of this 4 ingredient treat. Next up was a delicious thin crust pizza that boasts crème fraîche, black truffle oil, and smoked mozzarella cheese. 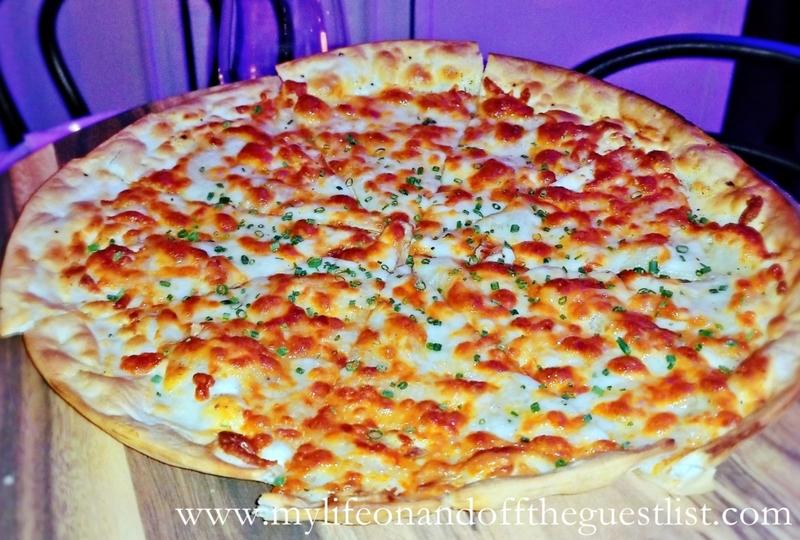 The smoking of the delicious, milky mozzarella gave the pizza a crisp aroma and an abundance of flavor, and the crust with perfect crunchy without being too hard. Possibly the best tuna tartar we’ve ever devoured. 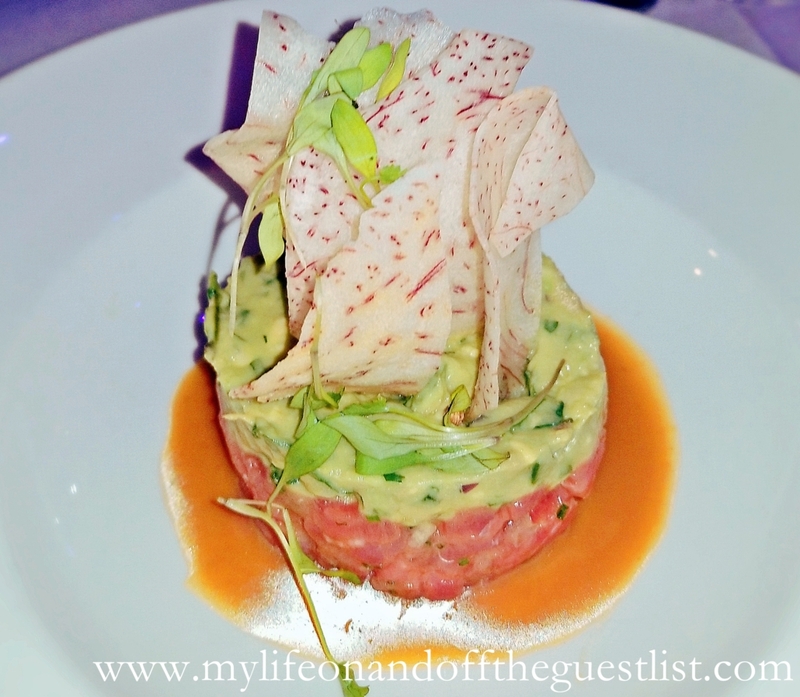 The multi-textured, layered, multiflavored starter dish features yellowfin tuna tartar, topped with perfectly seasoned and creamy avocado with a slight kick, a lime soy vinaigrette, and taro chips. 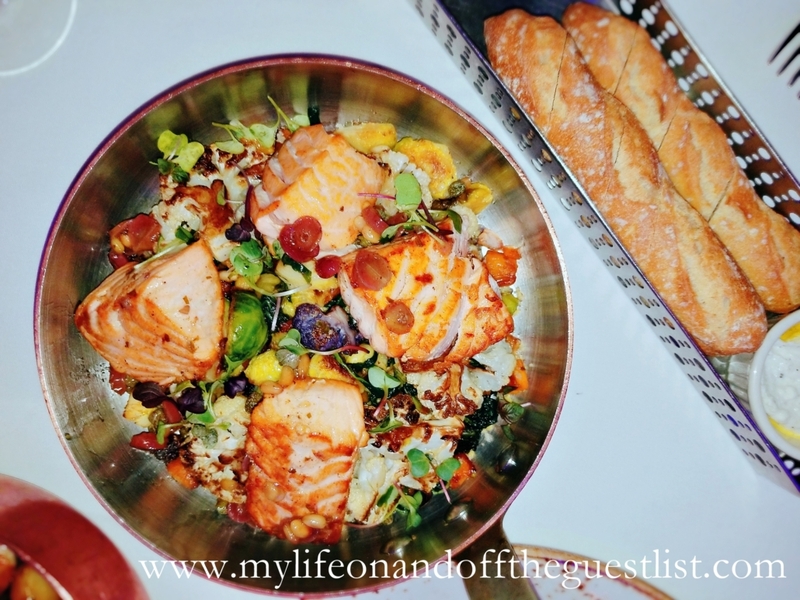 While every dish was superbly delicious, our favorite Bagatelle New York dish was the Saumon d’Ecosse……you can say it was our hero dish. We loved the rustic look and feel of this dish which boasted Scottish salmon, cauliflower, baby spinach, brown butter, pine nuts, and grapes. 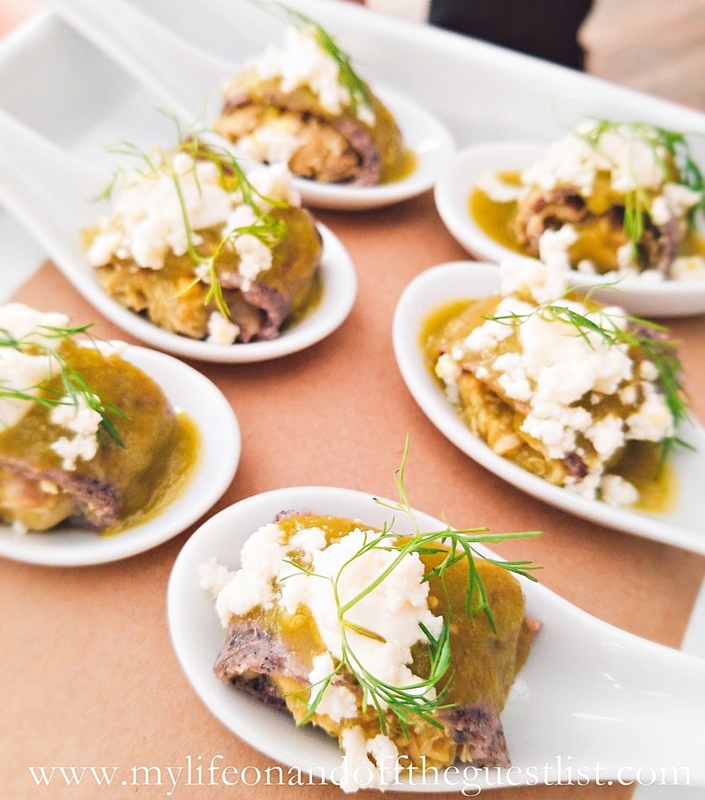 Each mouthful was a dance of savory, sweet, and earthy flavors that kept us reaching for more. Continuing the rustic French Mediterranean journey, we dug right into the next dish, a tasty half chicken dish that was tender and homey. 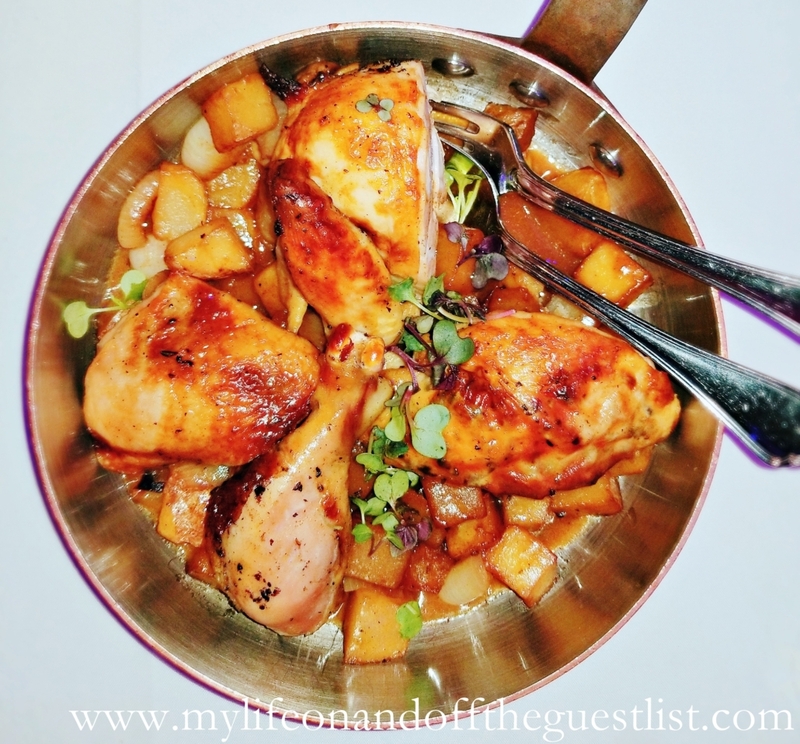 This assemblage of country style potatoes, caramelized cipollini, and thyme chicken jus (since we’re allergic to mushrooms, we enjoyed it without the button mushrooms and truffles), was an elegant take on roast chicken and quite delicious. A succulent 12oz black Angus NY strip steak, topped with a cognac peppercorn sauce, and served with crispy Belgian french fries. The layers of condensed flavors in this mouthwatering steakhouse classic danced in our mouths. Boasting a light char and flavorful browning on the outside, the seared steak was perfectly highlighted by the creamy peppercorn sauce. Another dish presented to us was the Gnocchi Truffés à la Parisienne de Nicolas, but because of the truffle sauce, we were unable to enjoy. This dish consisting of homemade choux pastry gnocchi truffle sauce and Parmesan is a restaurant favorite that many diners order daily. The final indulgence and we do mean indulgence of our Bagatelle New York culinary journey, was this massive ice cream sundae. We highly recommend not trying to eat this by yourself, it is made to share between 3-4 people minimum, especially when you factor in all the glorious courses you will enjoy before this. 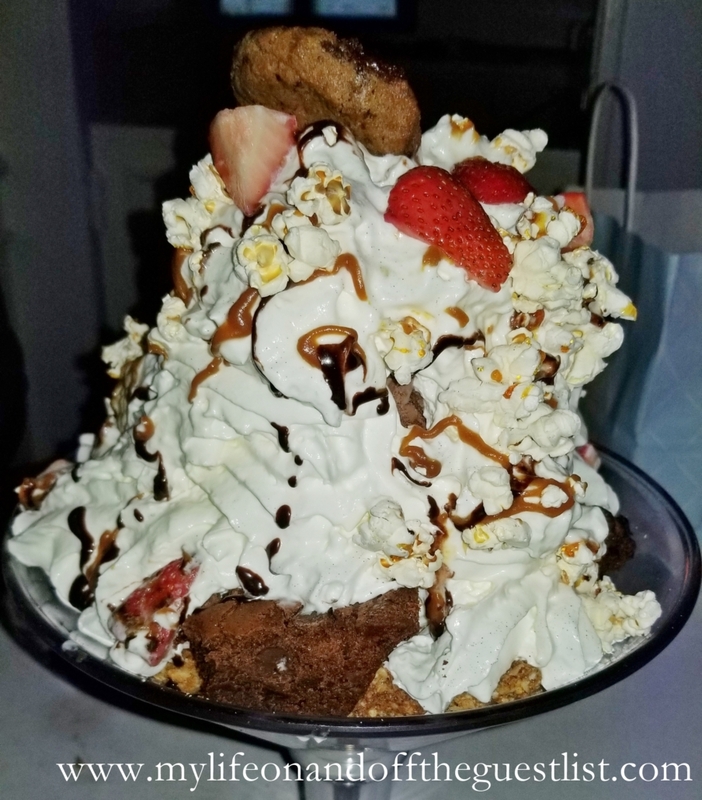 This sinful decadence consists of granola, ice cream, brownies, cookies, popcorn, gummy bears, and strawberries with drizzles of chocolate and caramel sauces. 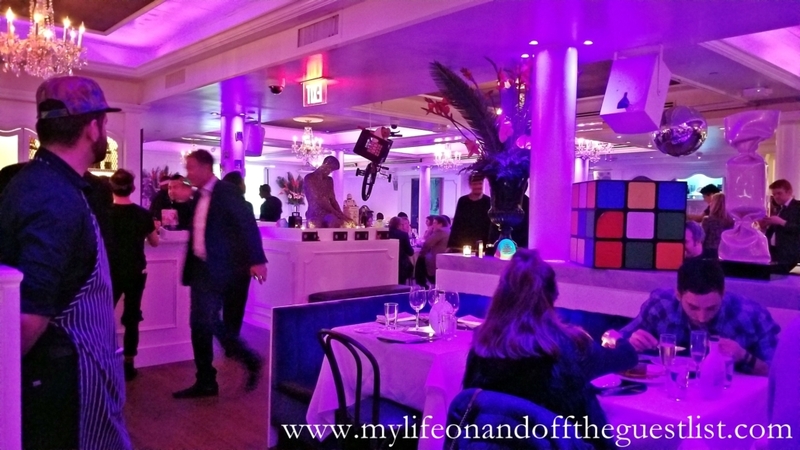 This behemoth will definitely bring out your inner child but like they say at Bagatelle New York, Joie de Vivre!! We don’t think we’re the only ones who’s noticed that New York City has become frustratingly crowded with everything from people to scaffolding to traffic jams. For this reason alone, seeking an oasis to escape the honking, the service delays, the sidewalk snail-paces and the Pac-Man-like meandering through the concrete and steel has become a welcomed respite. 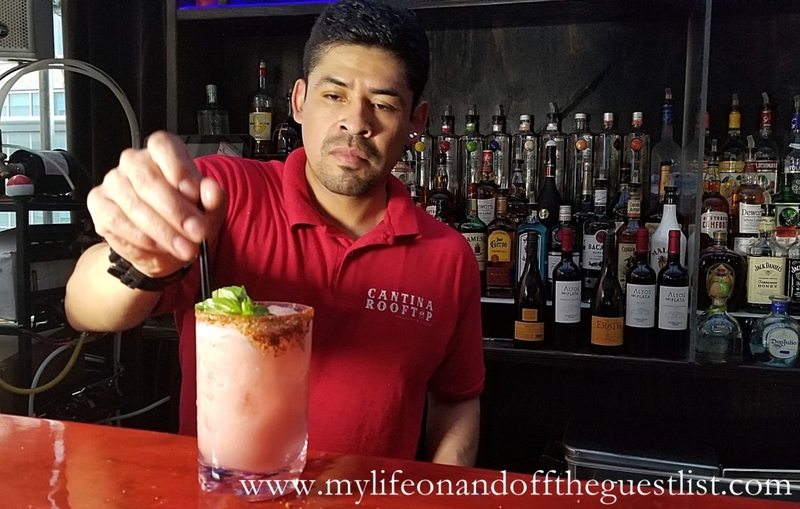 If you’re anything like us then your oasis must have something savory to nosh, a bartender who gives good pours and a feeling of welcome while you escape the city’s oftentimes unwelcoming disposition. For us, that oasis is the Cantina Rooftop Restaurant & Lounge. 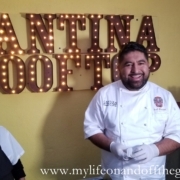 Join David and I as we journey through Cantina Rooftop’s new contemporary Mexican menu from Chef Saul Montiel and new cocktails from mixologist Miquel Sanchez. 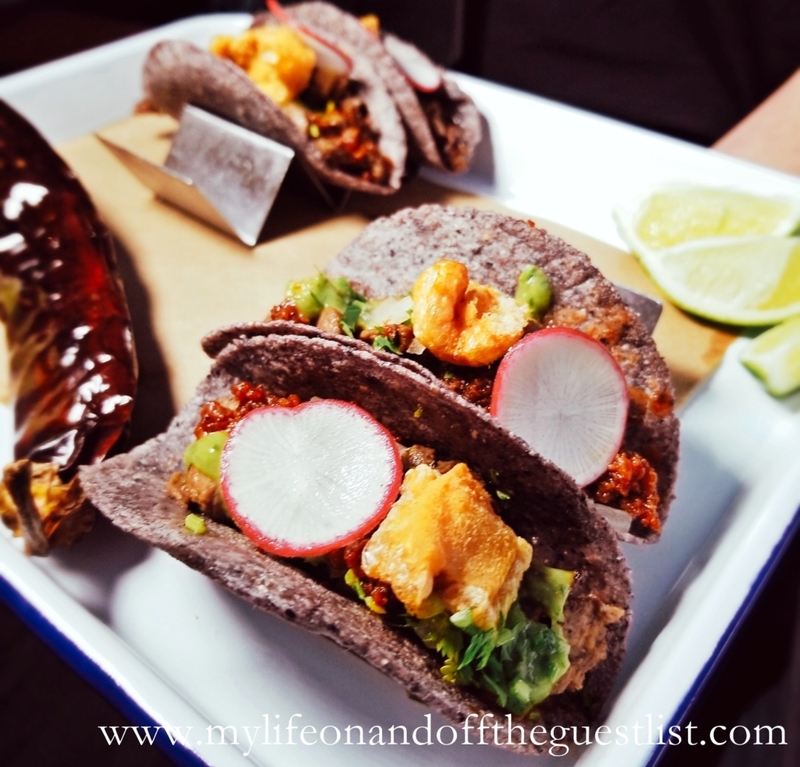 GLASGOW: Welcome to the Mexican garden of earthly and intoxicating delights! 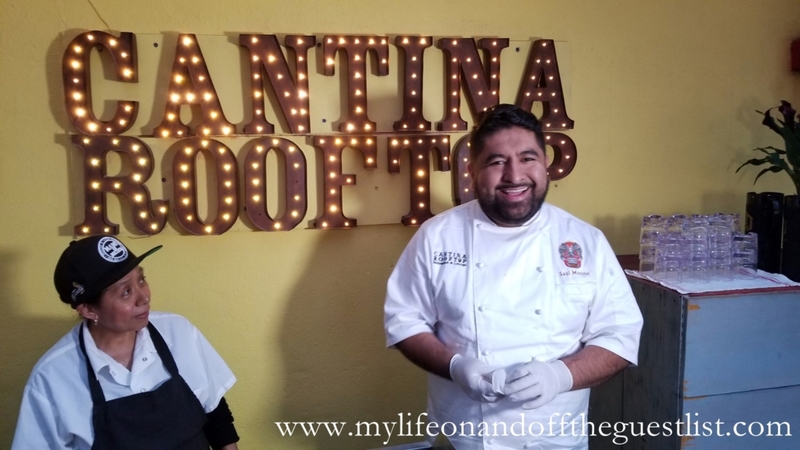 If you’re looking for authentic Mexican fare that seamlessly combines old world tradition and modern touches, Cantina Rooftop should be your to-go. Thanks to its retractable roof, you and your party can celebrate everything…..rain or shine. 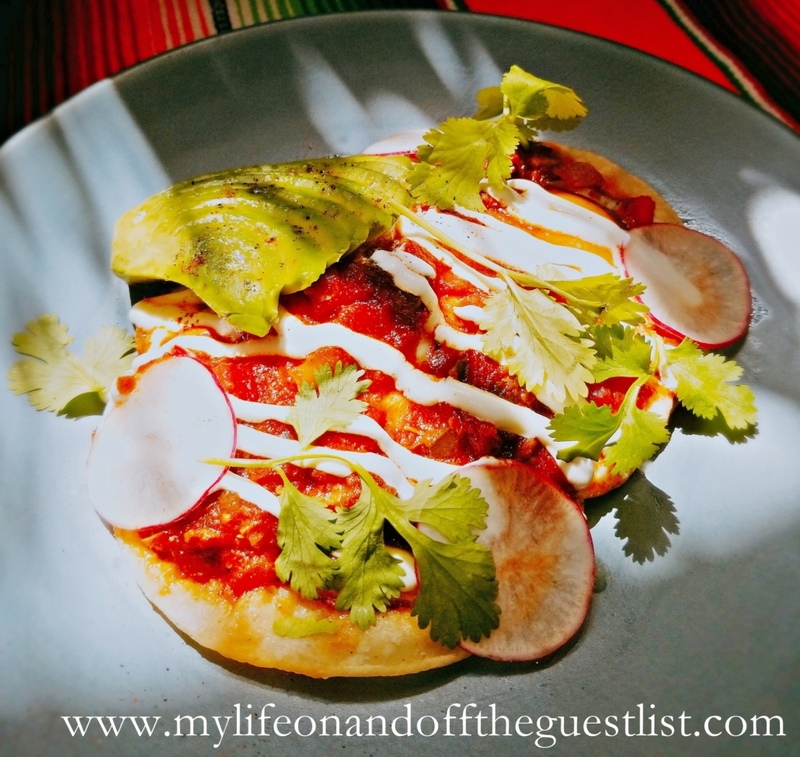 As someone who has visited this location, I am never disappointed and their new contemporary Mexican menu was everything my appetite craved. Every bite was a musical of incredible color, texture, and flavors. It was as if I was consuming the country itself through my palate. The menu, created by Executive Chef Saul Montiel, was wonderful. 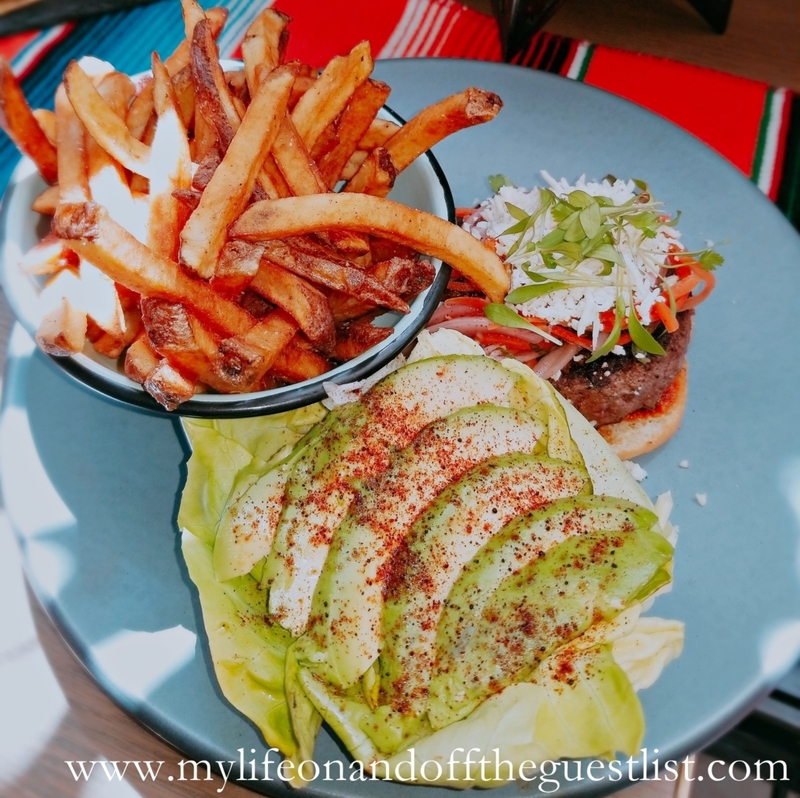 You will delight in the assortment of flavorful seafood Tostadas, Botanas, robustly textured Guacamoles (it’s heaven), the juiciest Beef burger we’ve had (you’ll love how the Chipotle Aioli elevates the burger), and an amazing Crispy Pork Taco. Dessert was truly a revelation. Get ready for some creamy decadence. Whether you indulge in the Fudge and Raspberry Chocolate Mousse desert or the incredible Strawberry Shortcake Tres Leches (our first time seeing this favorite in this flavor variety – we highly approve), you will leave deliciously sated and wonderfully happy. 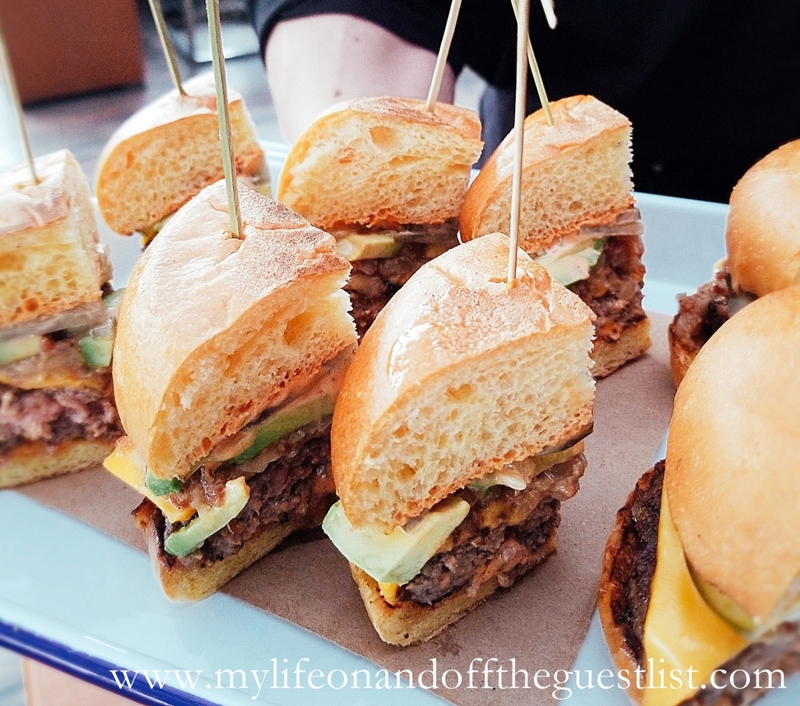 Of course rooftop celebrations are nothing without cocktails, so keep reading for David’s take on the must have cocktails (we’re still thinking of that Guava Sangria) at Cantina Rooftop. DAVID: I’d like to focus on the bartender who at the right establishment is also as good as the mixologist who suggests. That’s when I think of Cantina Rooftop. 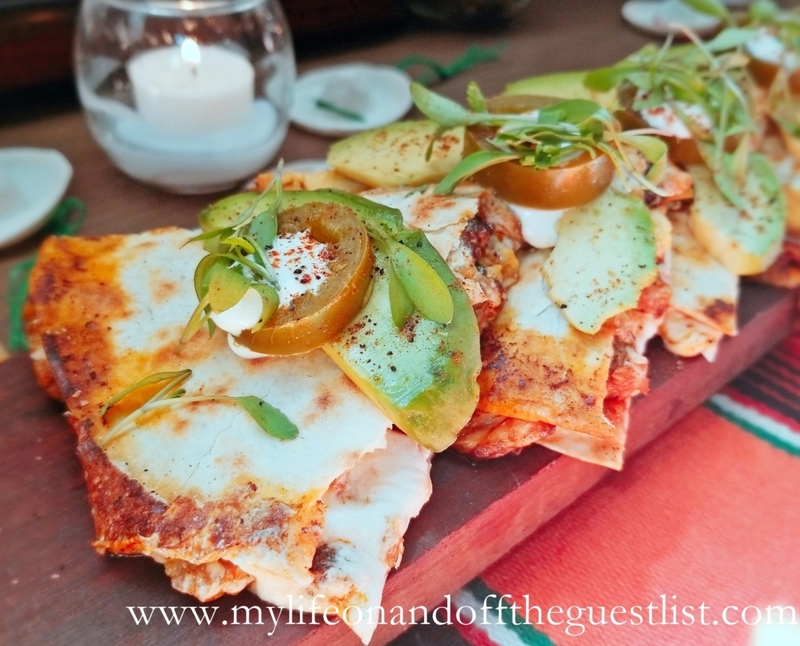 Located in the west side of Manhattan’s Hell’s Kitchen nestled inside one of the city’s popular event space/club shrines, Stage 48 and Level 3 Loft, Cantina Rooftop completes the trinity by being a fabulous Mexican restaurant whose seasonal newly-reopened rooftop dining space aims to make your oasis festive and relaxing, tequila included. I got to experience the magic of their reopening last week at the kick-off event. Boasting a nicely cultivated drink menu with several cocktails from renowned mixologist Miquel Sanchez, the Cantina Rooftop offers up a sweet selection of wines, spirits like premium mezcals and tequilas, as well as a host of refreshing beers. What struck me as comforting about the drink menu was that it wasn’t fussy but certainly wasn’t tame. The balance of notes and flavors in each drink were evident as described and left me with a feeling of satisfaction and not like I was part of some mad mixologist’s experiment. 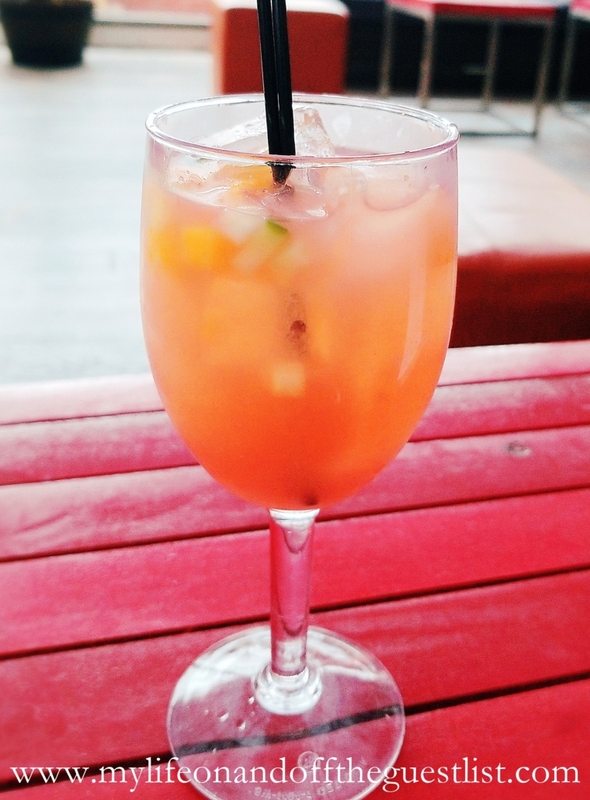 Sanchez’ ‘Spicy Summer’ is not to be missed as it takes a key fun fruit of the season, watermelon, and brings out the sweetness with the presence of heat and the tango of fresh lime & agave syrup. What’s also nice to note is the nicely done margarita and mezcal-rita menu utilizing smoky mezcals and fresh ingredients with the Caribbean kick. 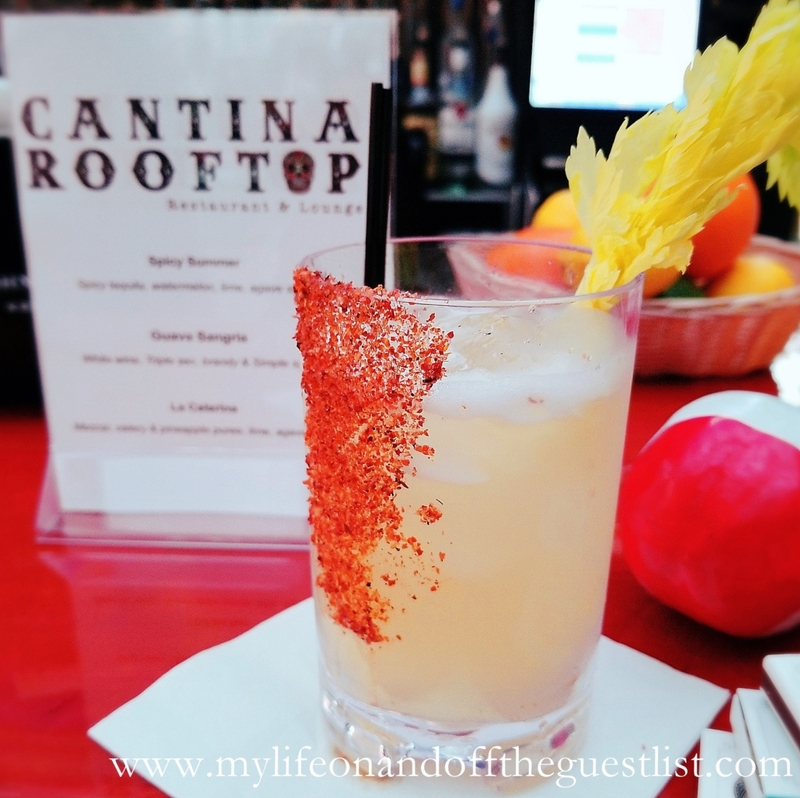 The Cantina Rooftop with their impressive outdoor space that allows you to look at the thick of the city without besides nestled too deep in it is now open for business at 605 West 48th Street and 11th Avenue. 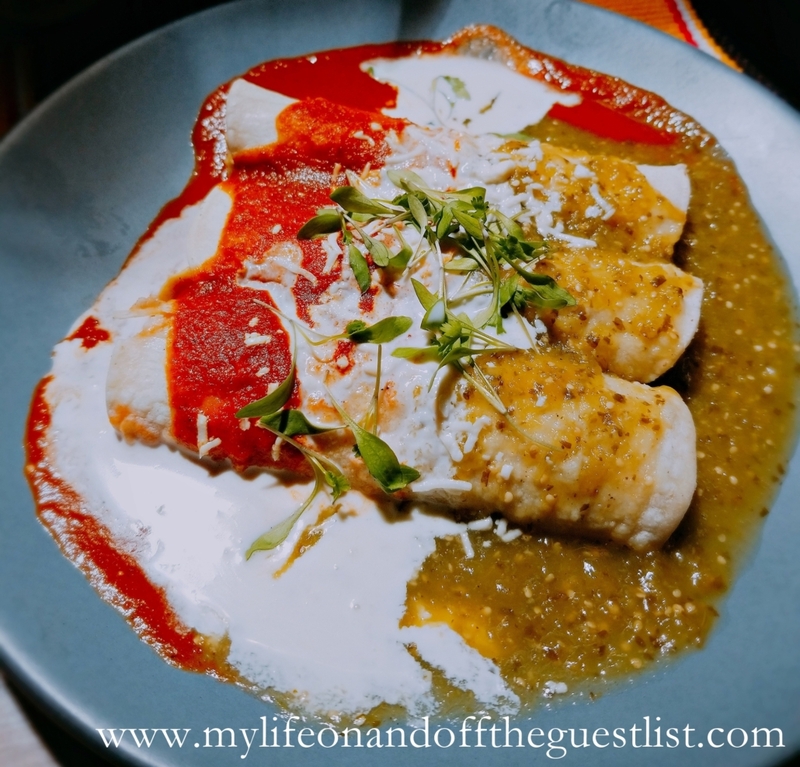 In addition to the specialty cocktails from Mixologist Sanchez is the new debut of a flavorful menu of interesting traditional and contemporary Mexican fare from Executive Chef Saul Montiel (the spicy guac is NOT to be missed). 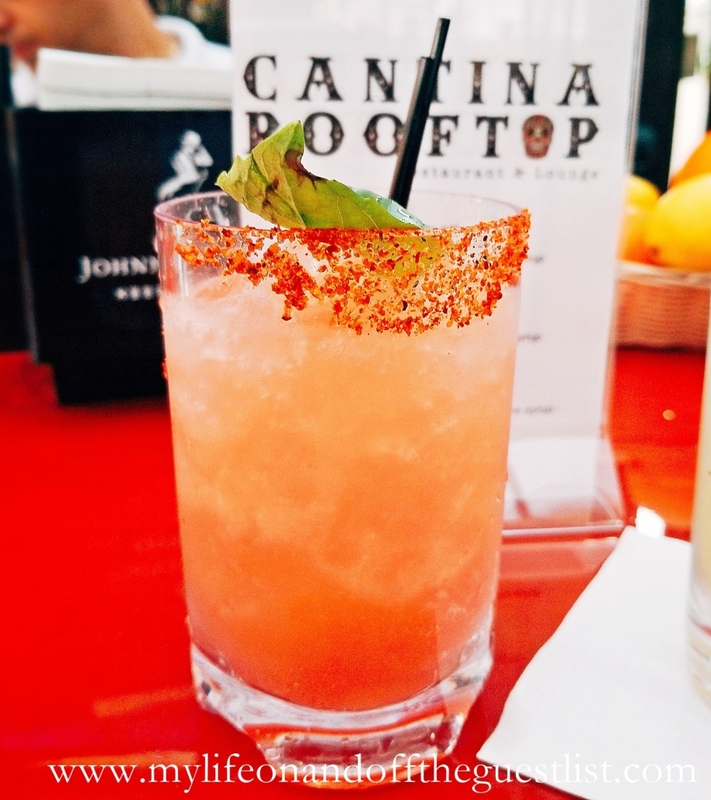 With the weather spinning in a more favorable direction, it’s the perfect time allow Cantina Rooftop to end your search for that welcomed oasis. Hello fellow NYC foodies and fusion food enthusiasts, there’s a new restaurant we’d like to introduce you to. 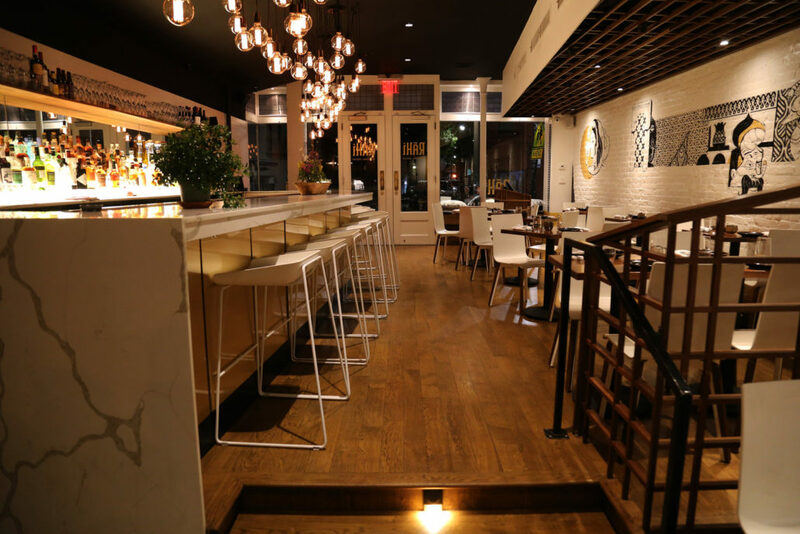 Nestled in the vibrant location in Chelsea, NYC, is Calle Dao, the second location of the popular midtown foodie haven which offers a fusion of Chinese-Cuban cuisine. 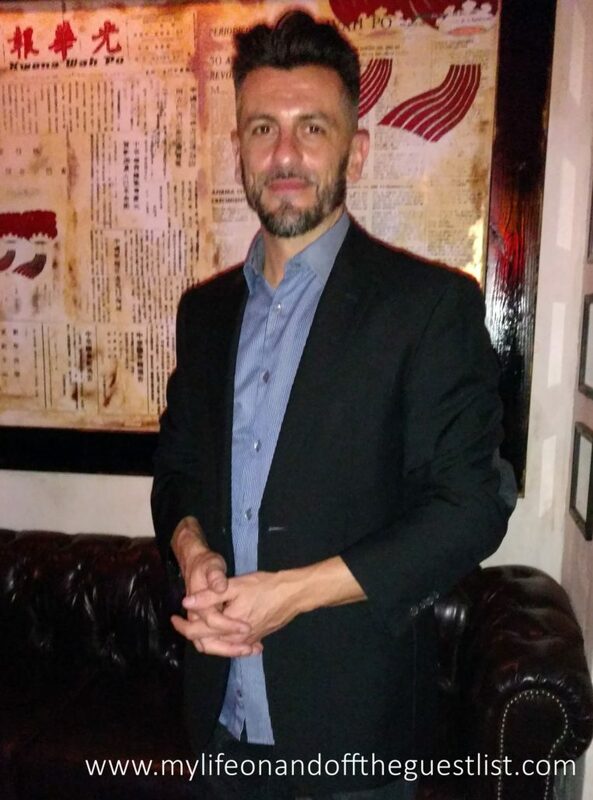 Calle Dao is the brainchild of Restaurateur Marco Britti who follows the Bryant Park location of this critics’ favorite and highly popular dining destination with the Chelsea opening. 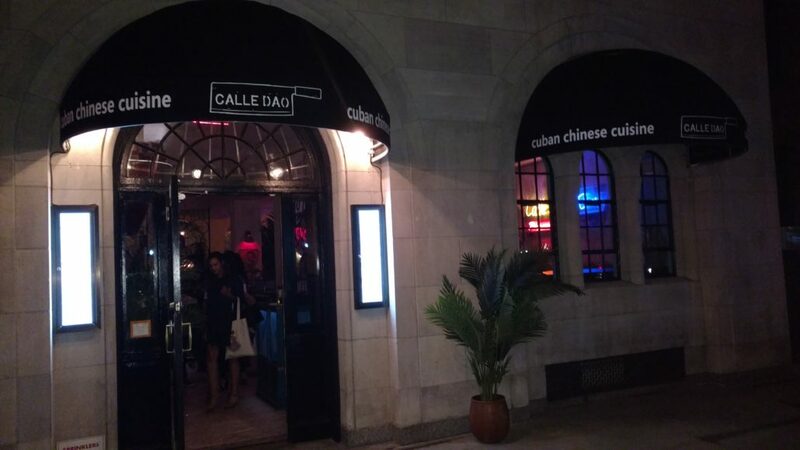 The name Calle Dão, a mix of Cuban and Mandarin, is a nod to Havana’s Chinatown, where Britti first discovered this unique culture and cuisine. 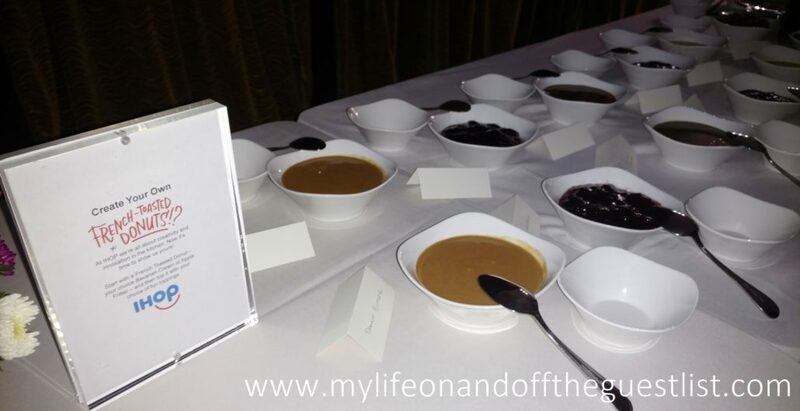 We had the pleasure of experiencing the delicious combination of the two cultures in a multi-course sit-down dinner, which included cocktails, hors d’oeuvres, appetizers, entrees, and dessert. 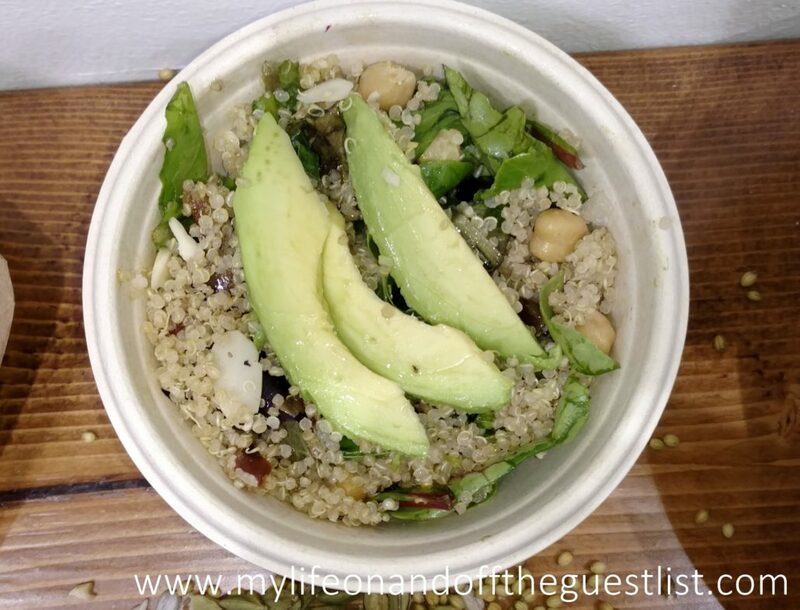 While we couldn’t sample everything, we enjoyed the dishes that we tried. 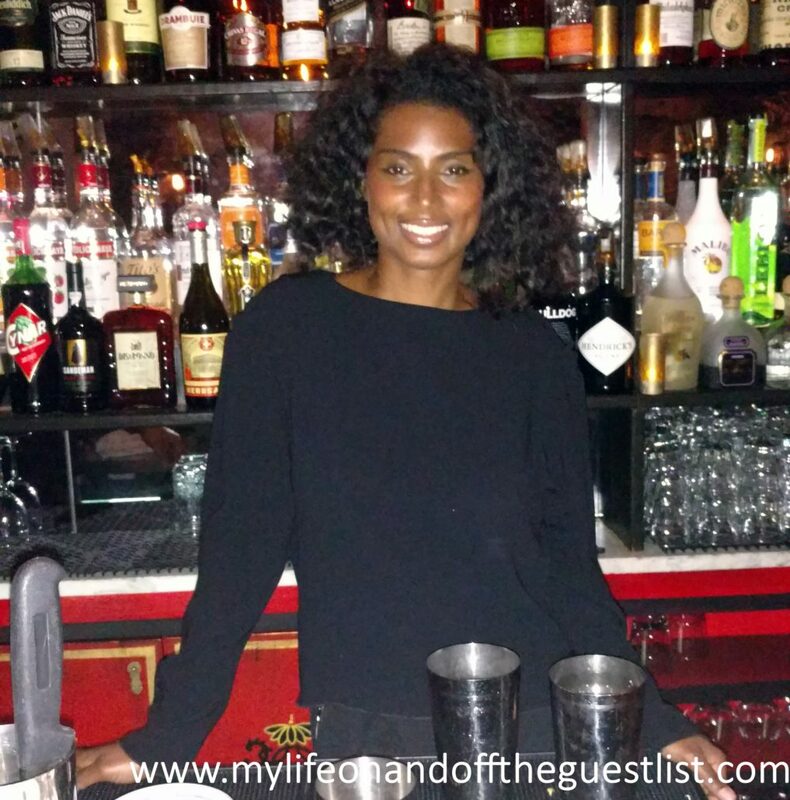 Our journey began with cocktails; four intoxicating concoctions handcrafted by Mixologist Joy Daniels (pictured below). Macau – made with aged rum, fresh lime juice, and a sweet spiced syrup (demerara sugar, star anise, ginger, vanilla bean, black peppercorn, Chinese cinnamon, nutmeg and orange peels). A great balanced drink – not too sweet, tart, or spicy. Revolucion! 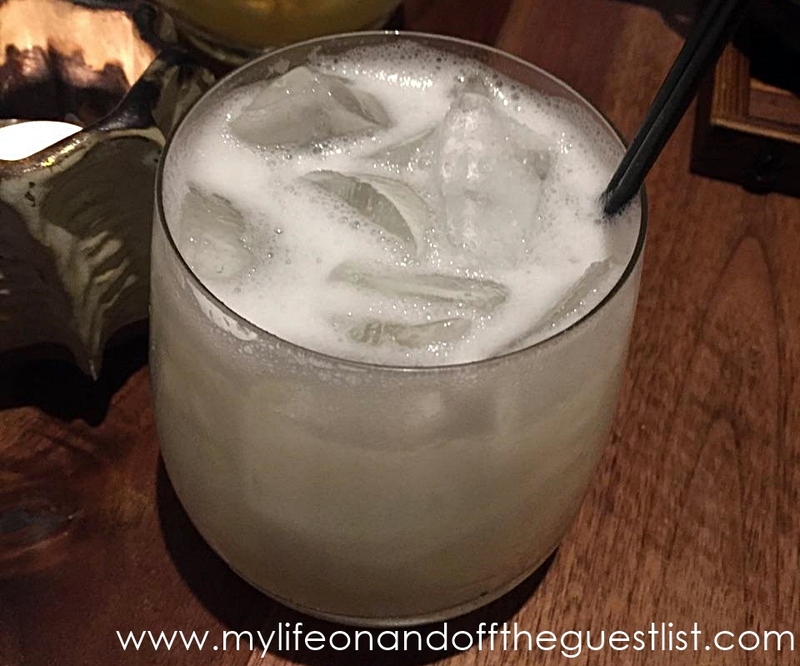 – made with habanero infused tequila, ginger liqueur, absinthe, sweet corn kernels, pineapple, agave, and lemon. 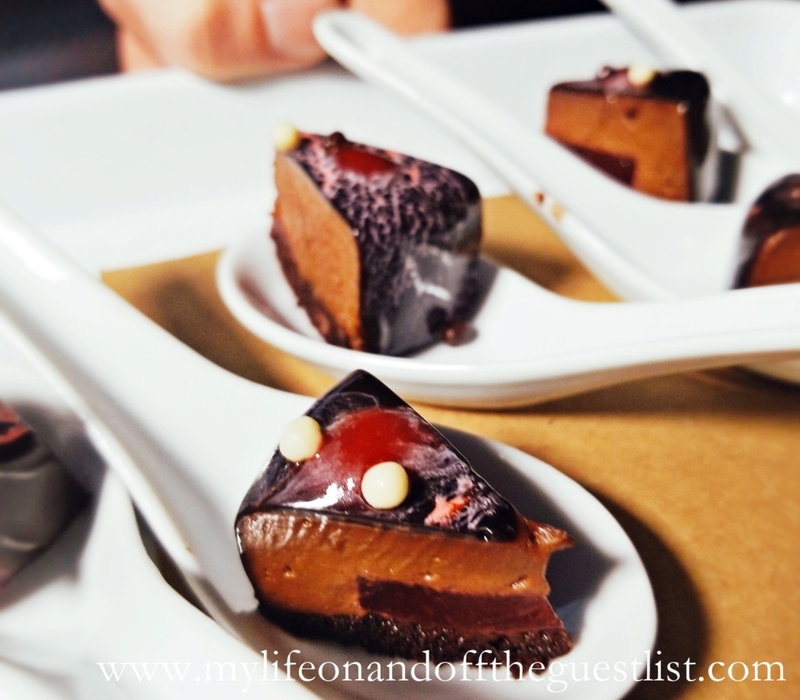 (**This was our favorite cocktail, it’s sweetness paired wonderfully with the savory passed hors d’oeuvres we enjoyed). 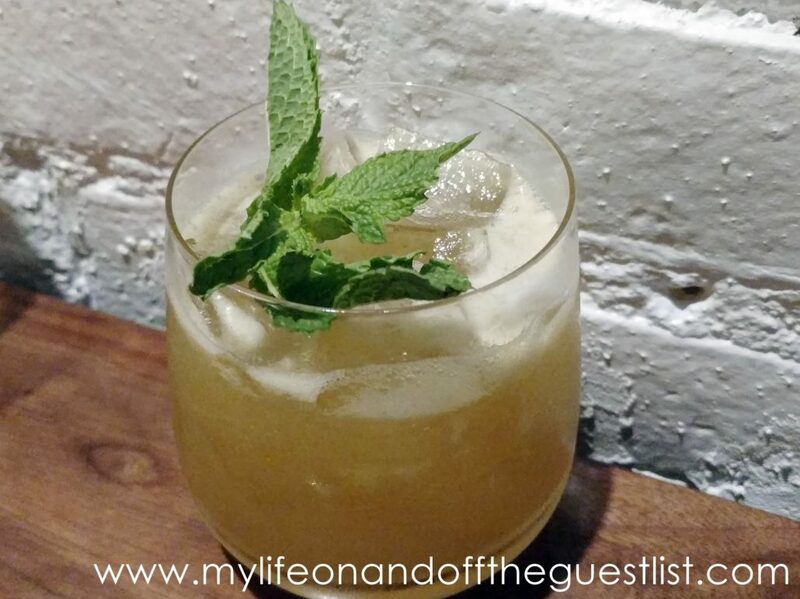 MaxVer – made with gin, elderflower liqueur, white peach, shiso leaves, agave, and lime. If you’re looking for a cocktail that’s not at all sweet, this is the one for you. Flor de Oro – made with vodka, rose and vanilla infused dry vermouth, cherry jam, and fresh lemon juice. This was my least favorite and the only one I didn’t finish (mainly because I’m not really a fan of Vermouth). The menu’s next offerings were a delight to our palate. 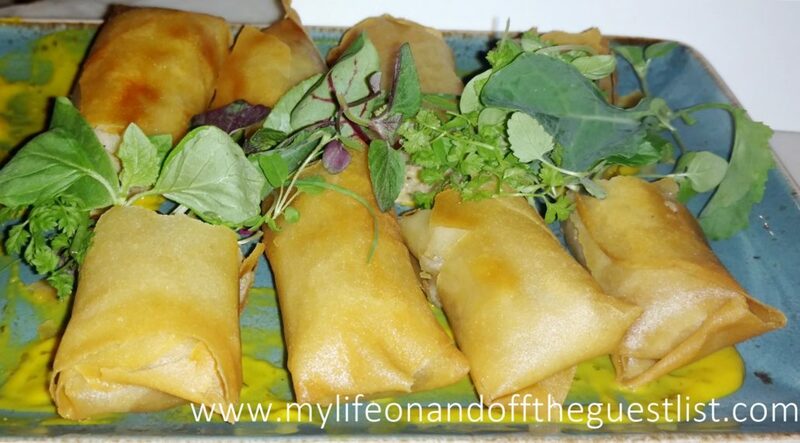 Thanks to Chef Bradley Warner, we enjoyed some very exquisite hors d’oeuvres including Oxtail Croquettas with mango chutney and saffron aioli, Cuban Sandwich Spring Rolls, Double fried crispy plantains, and Duck Empanadas. 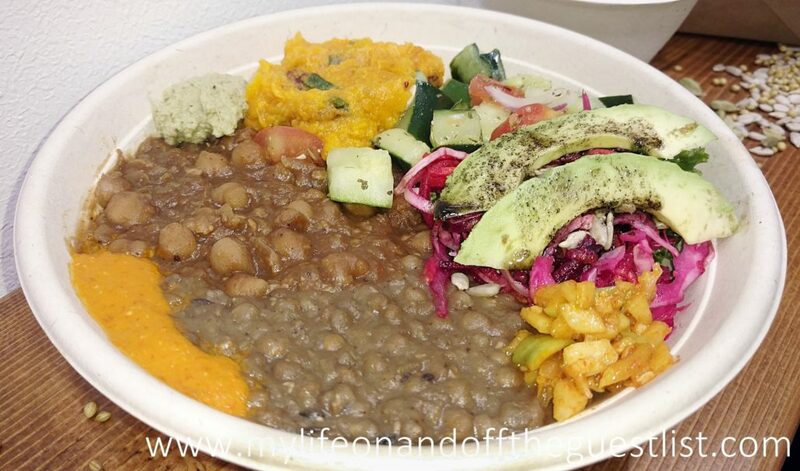 We highly recommend that you treat yourself to all three dishes as they are superb, rich in flavor, perfectly seasoned, and the ingredient combinations…….amazing. 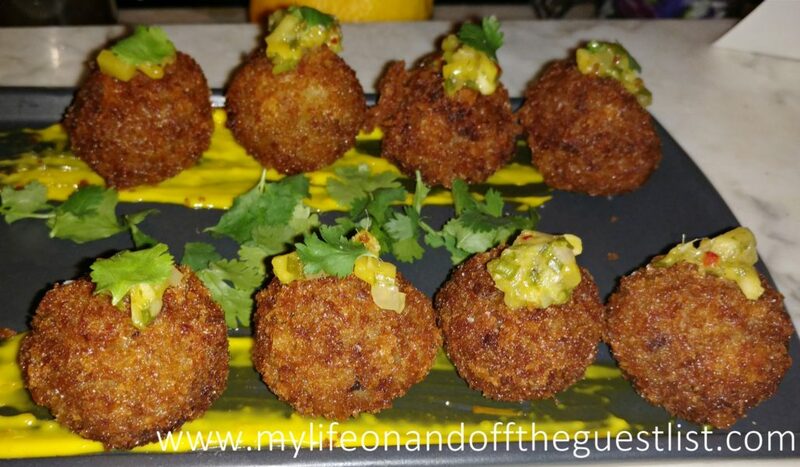 The Oxtail Croquettas boasts a buttery, melt-in-your-mouth meat interior and a crispy exterior. 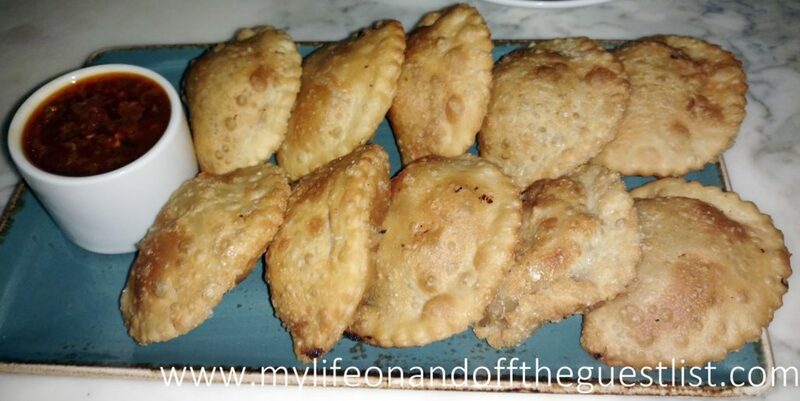 If you love Cuban Sandwiches, you’ll love this bite-size version, and you will never go wrong if you order the empanadas. We were then seated to enjoy almost everything on the restaurant’s menu. Pato Frito Sour Orange Glazed Duck over fried rice with sunny side up egg. 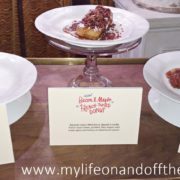 We had several dish favorites from the dining experience. 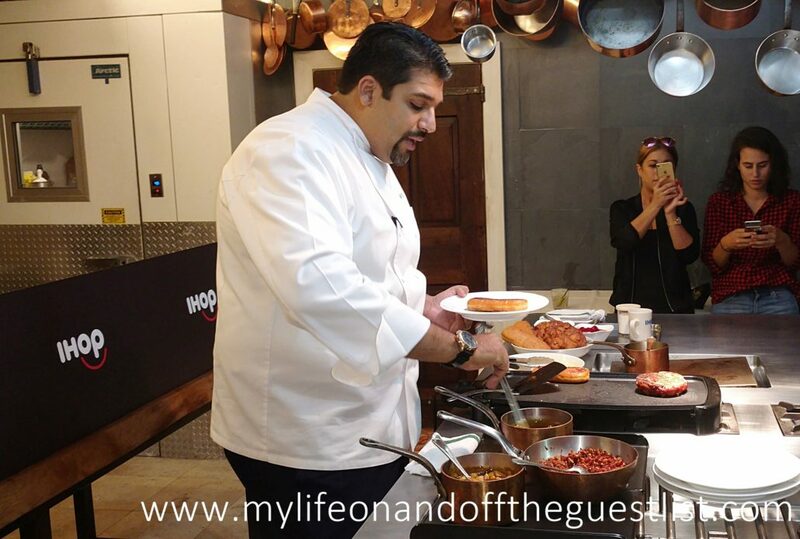 We approached this foodie journey with an open mind knew not every dish was going to be a hit with us. While some at our table weren’t so open, we left the restaurant quite satisfied with the entire experience. 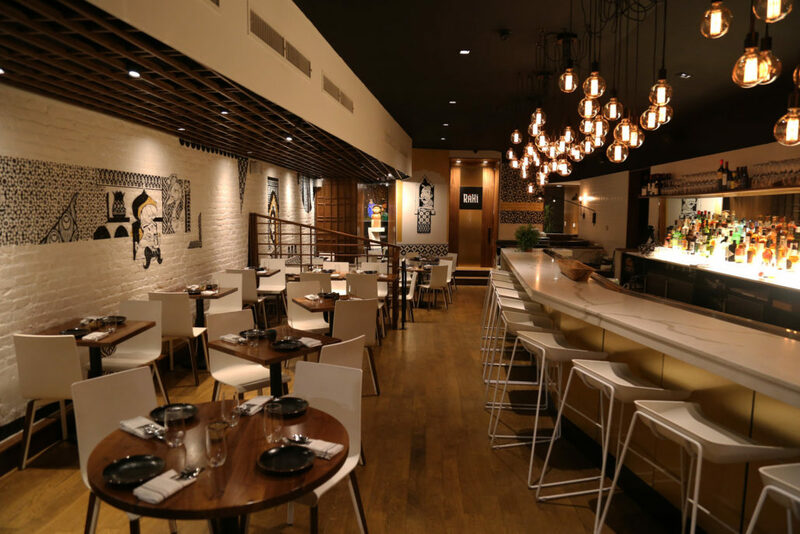 Our favorite entrees included the Crispy Whole Fish, Crispy Pig’s Ear, 14-Hour Char Sui Pork, and the Pato Frito Sour Orange Glazed Duck. The fish was exquisite. If you’ve never experienced freshly caught fish being cleaned and cooked right on the beach, this dish is the closest to it. 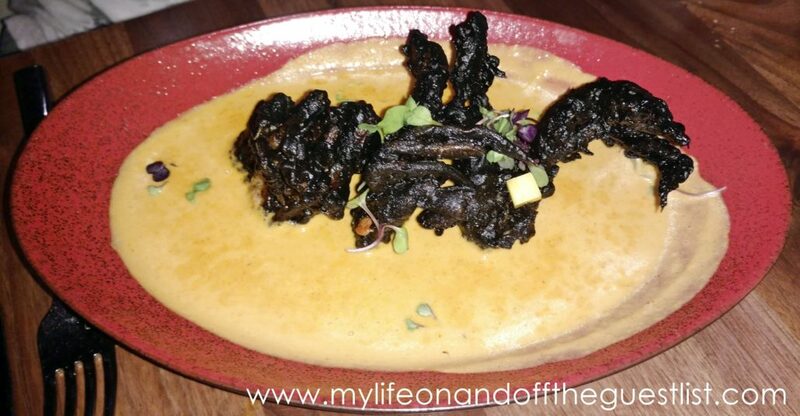 We didn’t think we would really enjoy the Crispy Pig’s Ear but this was delicious. 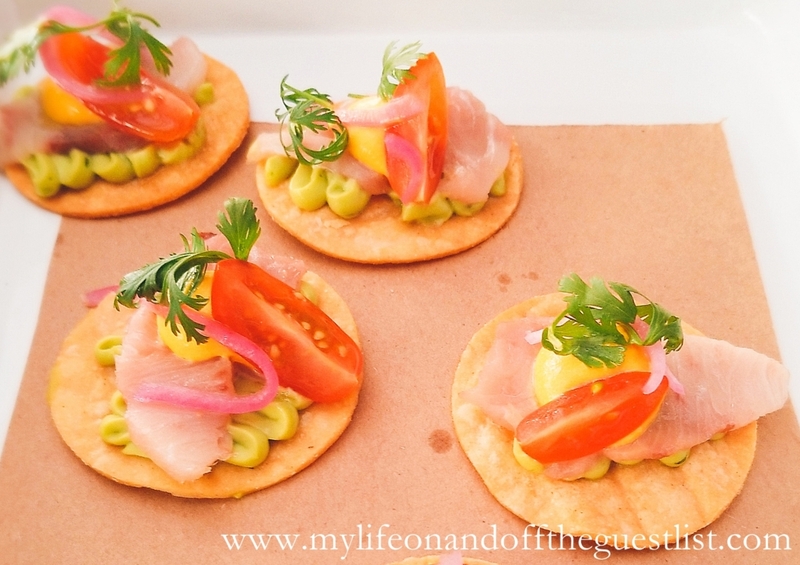 I loved the texture and lightness of it…..sort of like a very elevated pork rinds. We definitely enjoyed nibbling on these ears. 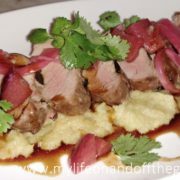 The pork and duck were sublime. Both of the meats were succulent and were favorites of many at our table. Almost favorites included the Charred Octopus, which I wish has more of a crunchy texture; the Spiced Goat Neck I wished had a bit more kick to it; and while the Peking Style Roast Chicken itself was flavorful, the flavor of the rice was tame by comparison. Matcha Tres Leches with chocolate crumb, chocolate sesame tuile, and mango coulis. 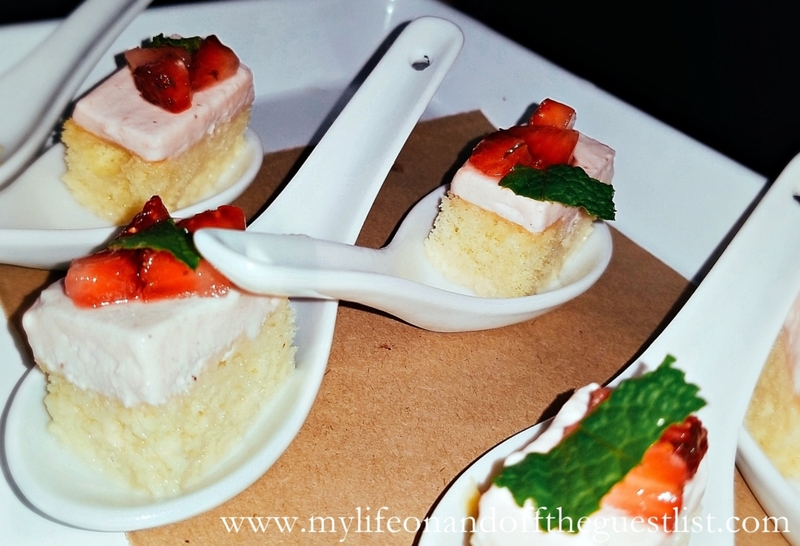 As a fan of matcha, we loved this Asian incarnation of Tres Leches. The cake was moist and we loved the combination of the matcha and mango coulis. Chocolate Arroz Con Leche with ginger gelato, cashew sesame crumb, sweet sesame wontons, passion fruit caramel. Chocolate, passion fruit, and ginger superbly excite your taste buds. 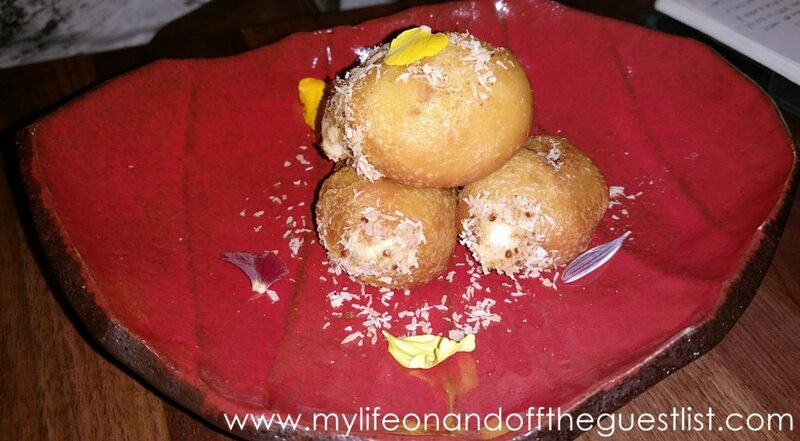 Bunuelos with Chinese five spice sugar, chocolate coconut sauce. Another favorite of ours, the sauce was rich and accented the Bunuelos nicely but we admit, we also dipped it in the pineapple jam. Coconut Rum Flan with pineapple jam, passion fruit caramel, and crispy rice noodles. We’ve never been a fan of flan but we do like this tropical version. The wonderful cuisine plating won’t be the only feast for the eyes. Passionate about art, culture, and heritage, Britti (pictured below) has added many finishing touches to Calle Dao to ensure real flavor in the interior as well as the food. Taking inspiration from traditional Cuban colors, the walls are adorned with vintage Chinese smoking adverts with Cuban touches throughout. A rare last edition of Cuba’s only Spanish and Chinese written Newspaper, Kwong Wah Po, hangs on the wall to welcome all who walks through the door. You will also find authentic cigar boxes decorating the rafters, as well as Cuban cigars at the hostess table. One decoration that also stood out was the giant Call Dao logo (a Chinese Chef’s knife) made up of several very real Chinese Chef’s knives. We invite you to check out this Chinese-Cuban food fusion for yourself. We are looking forward to experiencing Calle Dao Chinese-Cuban Restaurant again soon. Breakfast is the most important meal of the day. At IHOP, it can also be the most delicious. IHOP continues to break the rules of breakfast with three distinctive dishes hot off the test kitchen griddles. Elevating the breakfast treat that is french toast by combining it with donuts, IHOP is taking breakfast to another level of delicious. The IHOP French Toasted Donuts feature classic donuts dipped in sweet vanilla batter and then French toasted. The new lineup is available in three decadent, mouthwatering flavors ranging from savory to sweet. 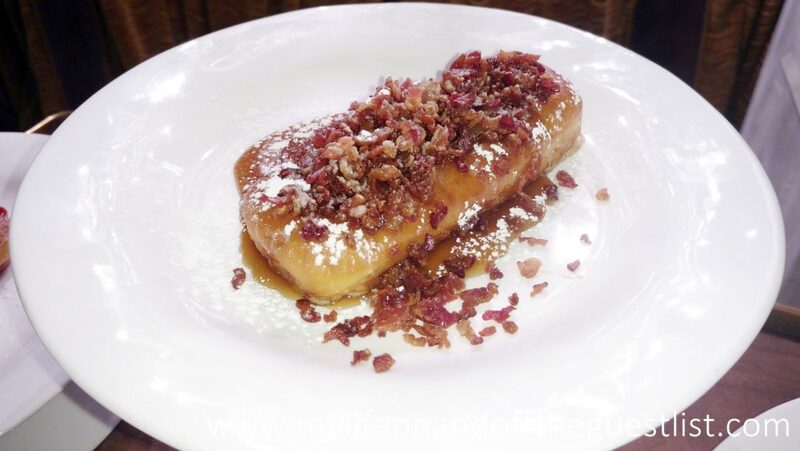 The Bacon & Maple French Toasted Donut is a Bavarian cream filled donut, dipped in vanilla French toast batter, griddled, then topped with rich maple glaze and savory hickory-smoked bacon crumbles. 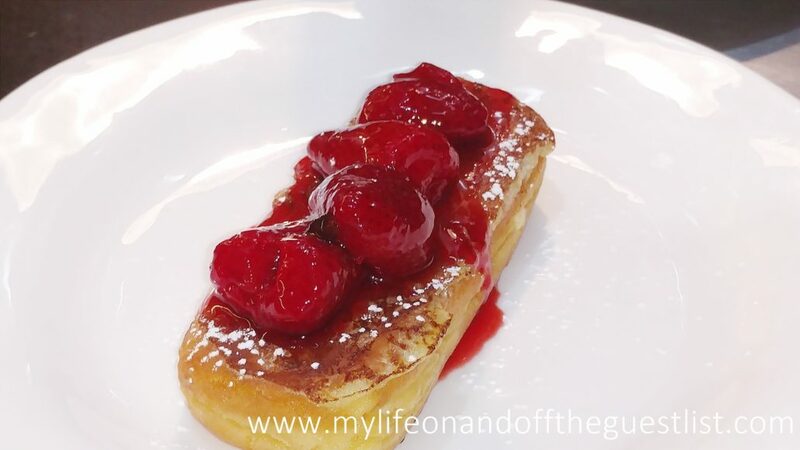 The Strawberries & Cream French Toasted Donut is a Bavarian cream filled donut, dipped in vanilla French toast batter, griddled, then topped with strawberries in a juicy glaze and powdered sugar. 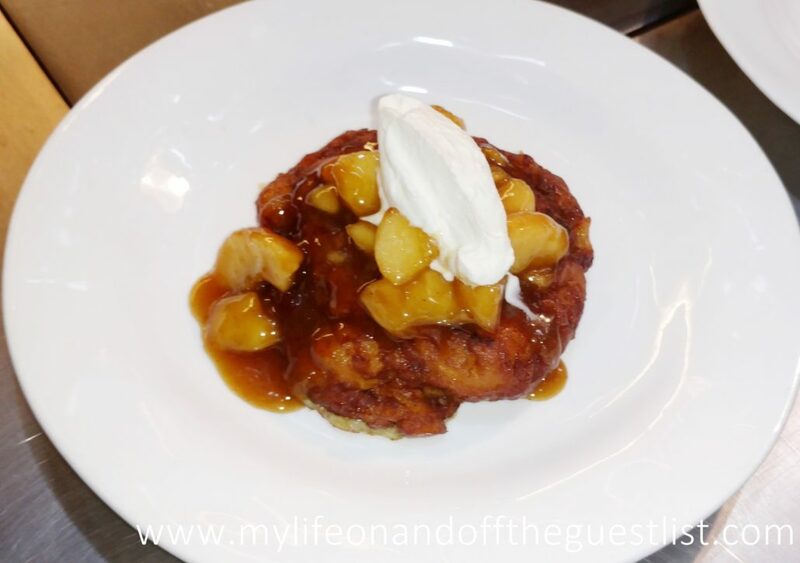 The Apple Fritter French Toasted Donut is a warm apple fritter dipped in vanilla French toast batter, griddled, then topped with sweet cinnamon apples, powdered sugar and whipped topping. 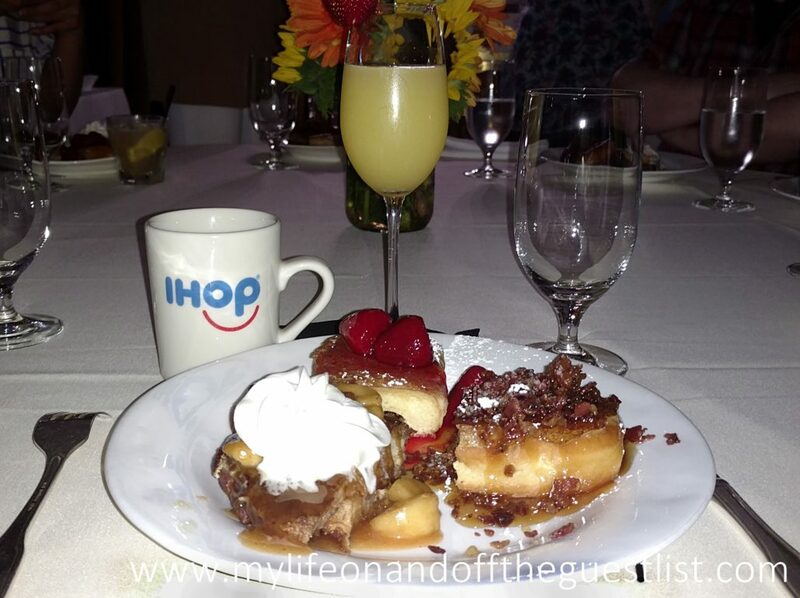 We had the pleasure of getting an exclusive first taste of all three of these decadent breakfast donuts at an event with Chef Nevielle Panthaky, VP of Culinary at IHOP. It was an evening of ultimate decadence as we satisfied our almost insatiable appetite for these sinful breakfast treats. 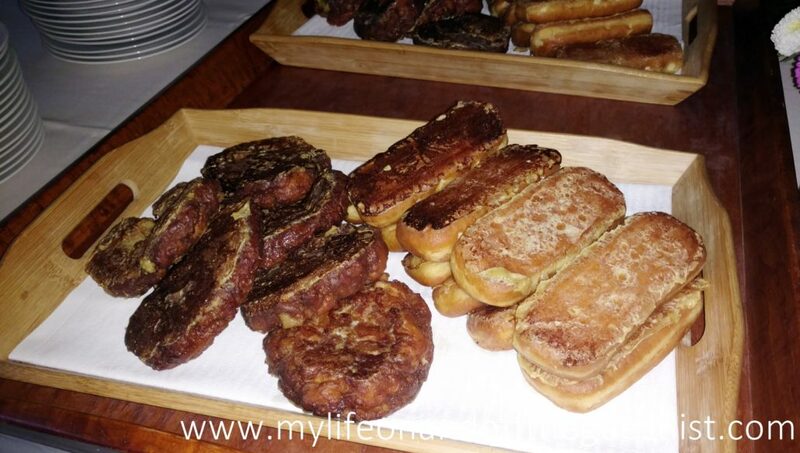 We also had the opportunity to recreate or create our own French Toasted Donut, thanks to the wide variety of available toppings made available to us. The French Toasted Donuts are available from July 31st through September 24th at participating IHOP restaurants nationwide. The new menu items can be enjoyed on their own or as part of a combo meal with the choice of eggs, bacon, sausage or ham, and more. We love food, we consider ourselves to be distinctive foodies, and we thoroughly enjoy indulging in amazing culinary journeys. 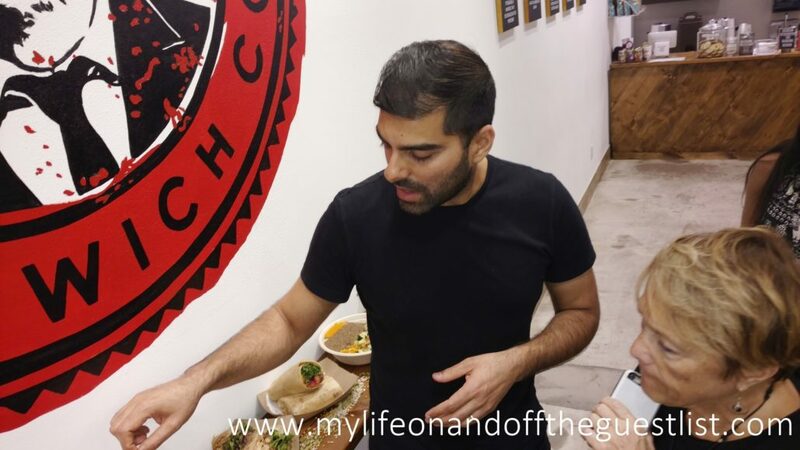 We recently did just that at Rahi Artisanal Indian Restaurant, located at 60 Greenwich Avenue in NYC. 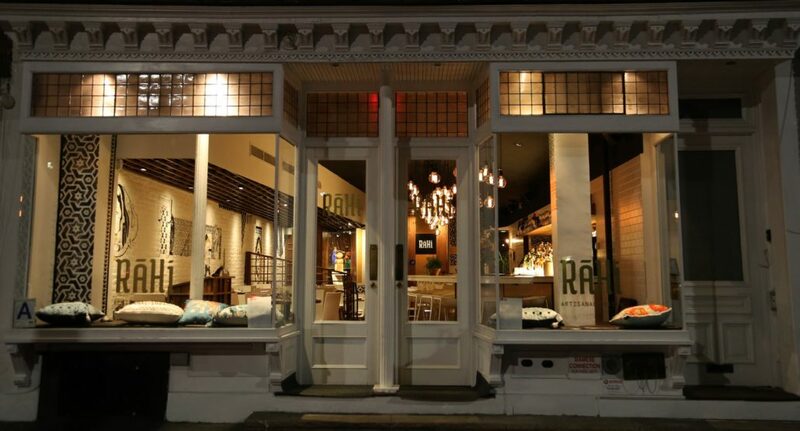 Rahi, (meaning traveler in Hindi) is a collaboration between Chintan Pandya, an Indian chef with playful artistry, and restaurateur, Roni Mazumdar. 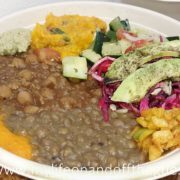 They offer vibrant Indian food that slightly strays from the traditional Indian cuisine and uses local New York produce. Staying true to the name’s meaning, Rahi Artisanal Indian Restaurant took us on a culinary journey to the four unique flavor corners of India. 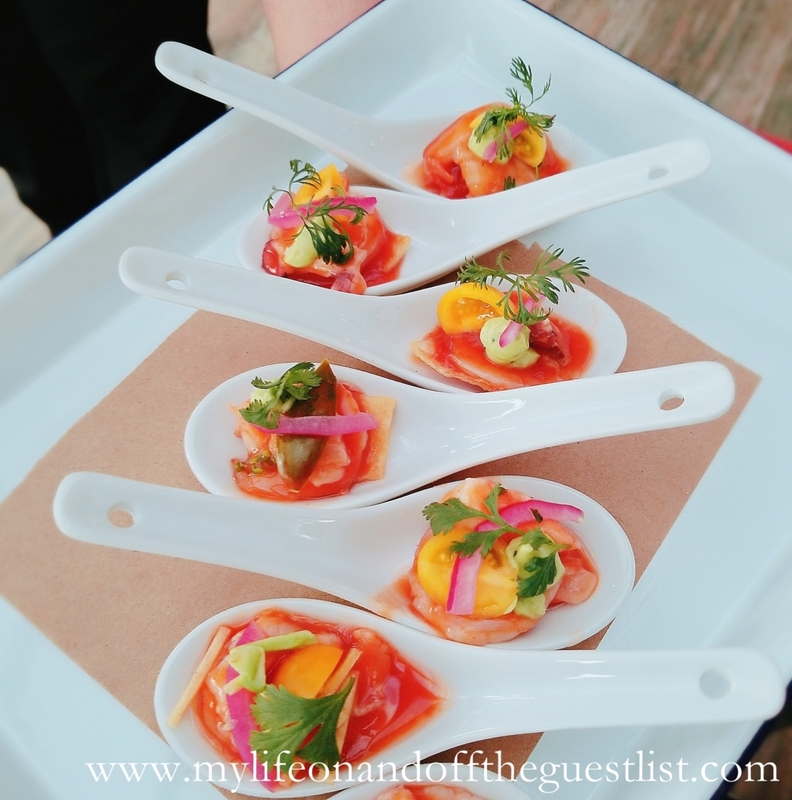 We started out with classic cocktails in delicious, untraditional flavors, and yielded to the explosion of various flavors of the appetizers, entrees, and desserts. 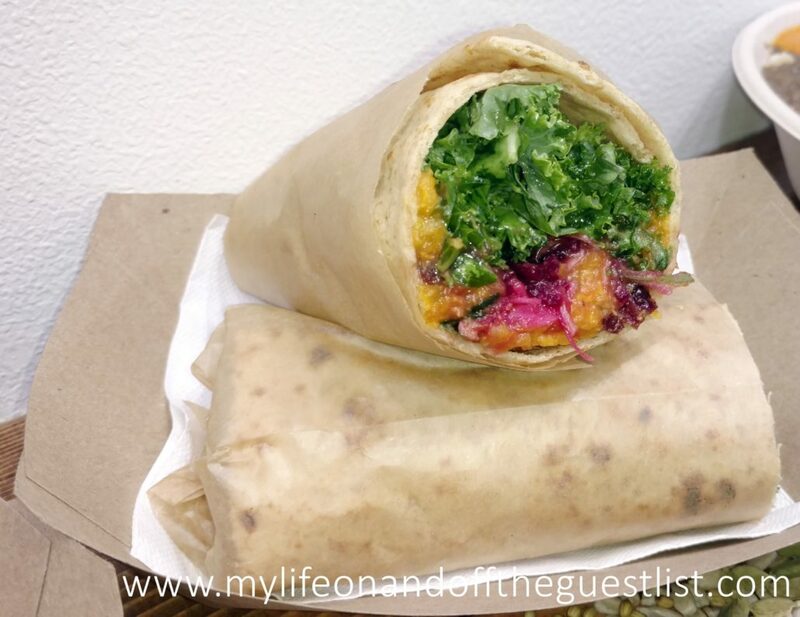 We were in FOODIE heaven at Rahi Artisanal Indian Restaurant. DAVID: This is a comforting and fragrant starting drink with a cardamom hit that sneaks up on you for a pleasant flavor & finish. You have the tart saltiness of the tequila and rim with the soothing ending of the warm cardamom. GLASGOW: The cumin gives the pineapple flavors an interesting, almost savory flavor. 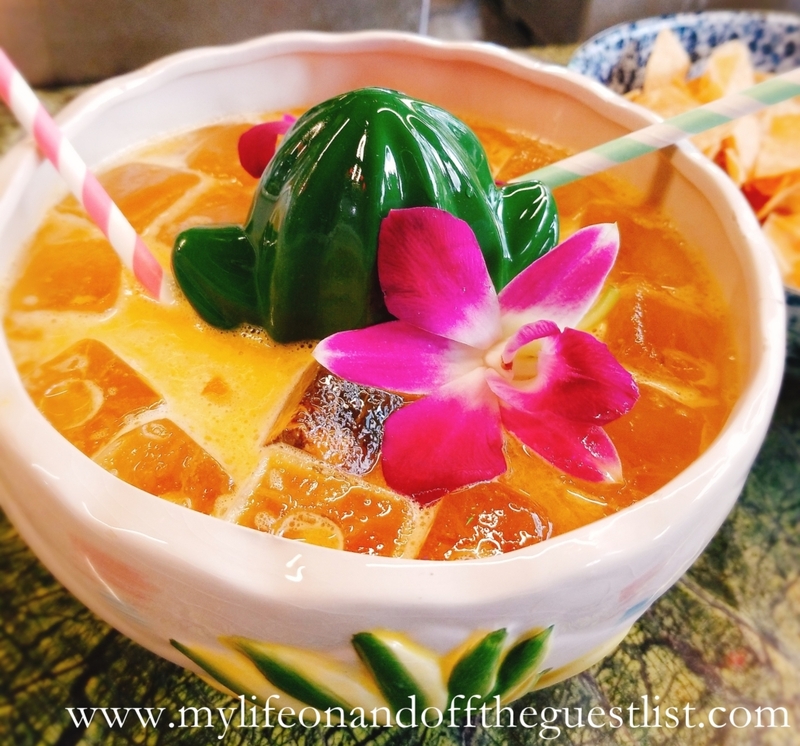 It not only complimented the natural sweetness and tartness of the cocktail, the sharp, slightly bittersweet taste of the cumin evened out the sweetness of the pineapple rum. DAVID: This was such a delicious cocktail. So satisfying was the weight of the heavy juniper note of the gin was toned down by the earthy almond and pistachio. What you’re left with is a fragrant soft and slightly sweet flavor brought about by the rose water with the grown and relaxing heft of the gin. 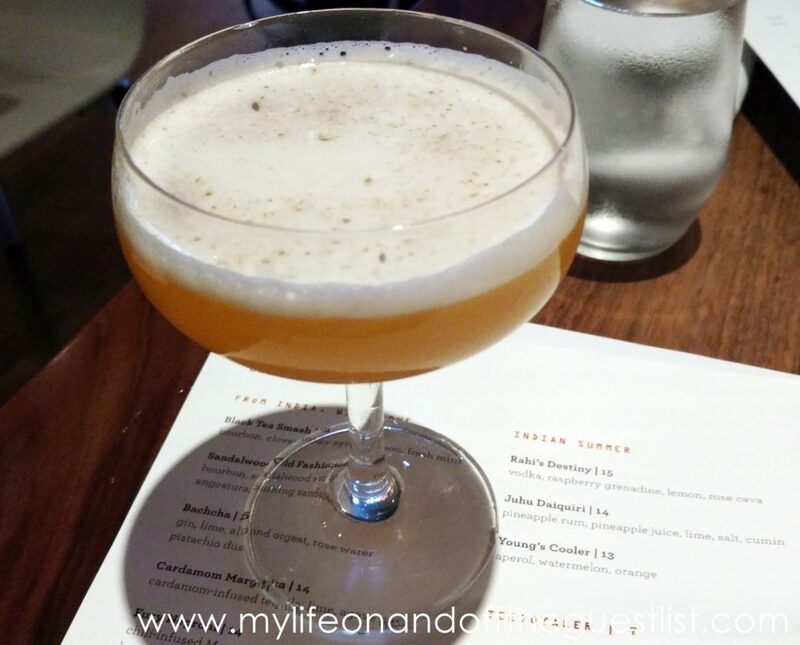 GLASGOW: As a bourbon lover, I was very excited to try this cocktail. Don’t go thinking this is a grown up ice tea, that wouldn’t do it justice. There’s almost a licorice-esque taste to this cocktail, there’s a slight kick to it that I really enjoyed, but it is mostly smooth. It’s a definite must for a cocktail connoisseur. DAVID: This was a lovely light and airy starter with the soft and creamy texture of the sunchoke center. The heat of the chili and the sweet crisp comfort of the coconut marry nicely with the tart and sweet punch of the tamarind to create a pleasant and delightfully lingering finish. GLASGOW: I like how the flavors of the coconut-chili crumble sat on the back of my throat, ensuring that every bite of the Sunchoke I swallowed had some heat to it. This dish was quite hearty and a bit rustic, it felt like I was eating potatoes without the heaviness. 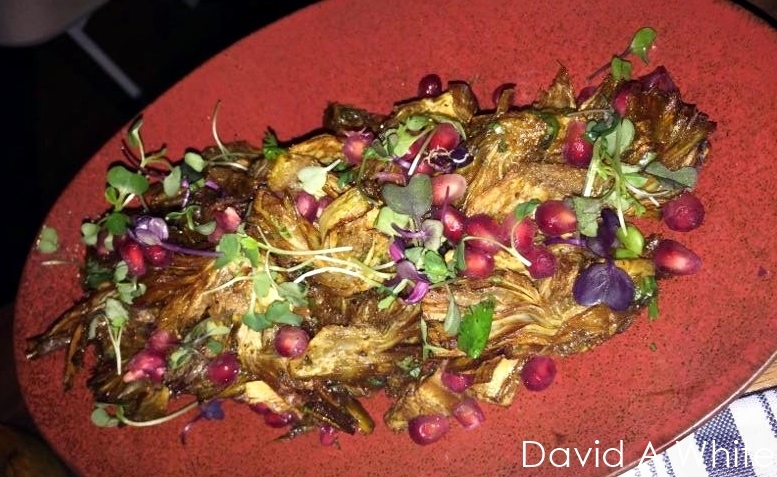 DAVID: This dish was just perfection. The slightly natural lemony pop of the artichoke soaks up the tamarind so well that when balanced on top of the bed of earthy edamame and the crunchy sweet pomegranate, a wonderful quartet is created: tart, earthy, sweet and salty. GLASGOW: Love that this vegan dish highlights the sweetness of the tamarind as opposed to its tartness. The combination of the crunchy pomegranate seeds, spinach chips, and tamarind give it a highly flavorful dish with great levels of textures. DAVID: This was a cool seafood triumph. Take the delicateness of tender octopus with the island kiss of a milky coconut broth teemed with spicy aromatic curry and what you have are two meals in one. The second meal arrives when you’re left with that savory broth that is perfect for dipping Rahi’s melt in your mouth naan bread. GLASGOW: This dish practically left me speechless. 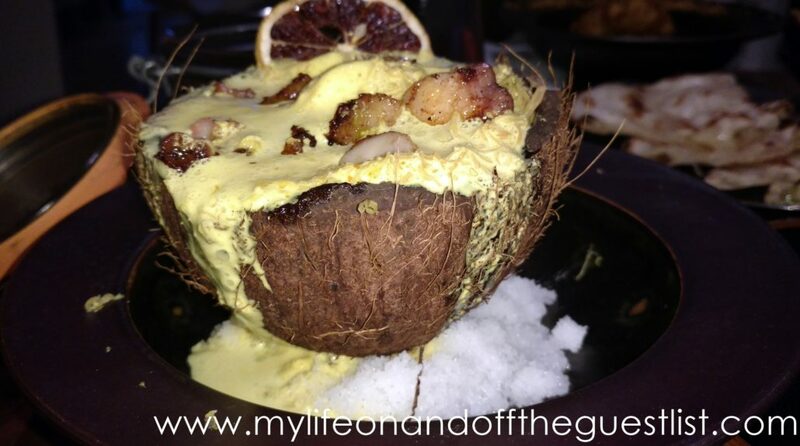 The combination of a creamy, tropical coconut milk and turmeric highlighted the freshness of the octopus. The coconut turmeric foam was divine……each bite fills your mouth with unbiased flavor and your senses with aromas like no other. I’d enjoy this broth on its own as a soup. This dish felt like a special treat, like I was being rewarded for something. DAVID: I joked with the owner that this should be packaged and ready to be sold. This dish was oh so satisfying. The triumph of this dish was how the often-earthy quality of the eggplant disappeared in the spicy, smoky chunkiness of this dish. 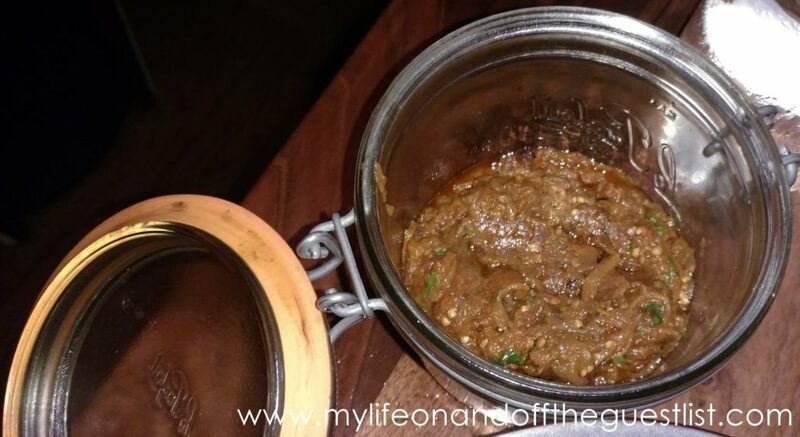 The blend of onions, cumin, spices and the consistency of the ragu-like dish were like the perfect vegan comfort food and the hearty grain toast it was served with was a great choice to hold up to the weight of the Bharta. 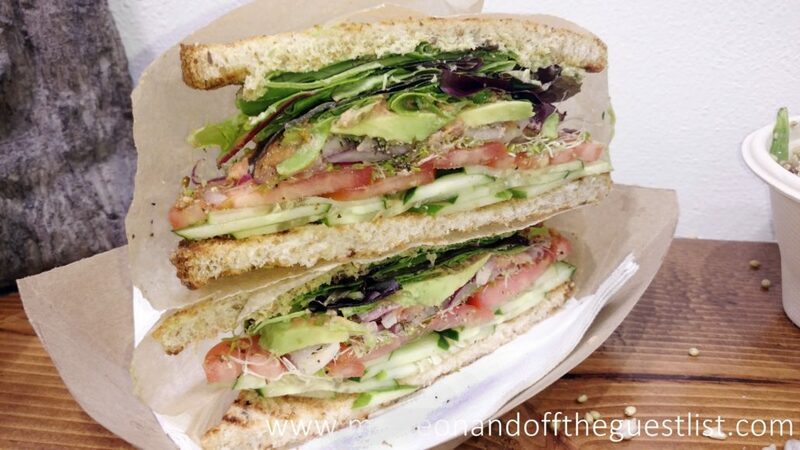 I could easily see this as a veggie/vegan sandwich at a picnic as a great reminder of how satisfying meatless can be. GLASGOW: I’m not a fan of eggplant, so I didn’t partake but from David’s reaction, it must be outstanding. DAVID: This is crispy sea loveliness soaking in creamy briny harmony. The salt of this dish is nicely balanced with hints of sweet. The depth of the ink batter brings a sharpness to the delicateness of the sweet and crunchy soft shelled crab and offers up a different kind of satisfying savory to the dish. GLASGOW: I didn’t try much of the Inked Crab because I had my own decadent dish to enjoy, but from my one mouthful I noticed the distinct flavors, such as the marriage of subtle sweetness of the mango curry and how it emphasized the distinct character of the squid ink crab. GLASGOW: Let me start by saying that Shepherd’s Pie is one of my favorite dishes and I love eating it as much as I can. And Rahi’s interpretation blew me away. I’ll say it now, Cumin makes everything better. I loved Rahi’s flavorful take because, let’s face it, sometimes Shepherd’s Pie can be a bit bland, but the combination of cumin potatoes layered with farm fresh Raclette cheese, took this basic dish to indulgent levels. DAVID: This was a nice combination of smoky and sweet flavors with an interesting caramel and coconut cream combination with a delish crumbly Indian cookie crust. GLASGOW: A creamy delight that was as decadent as it lovely. 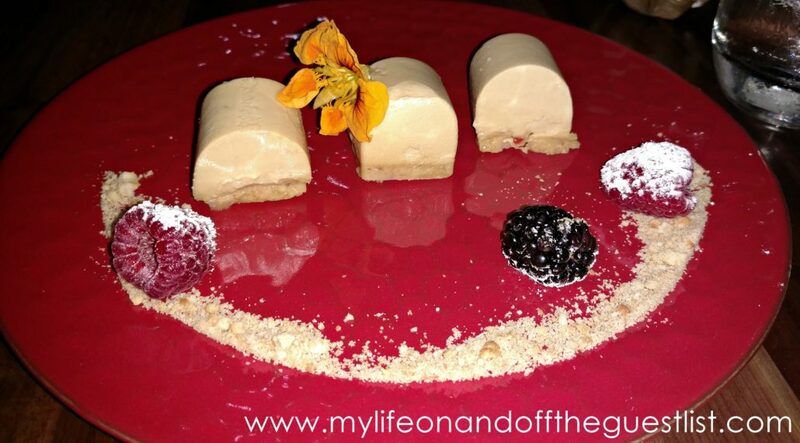 A great yogurt dessert on a crust of Karachi cookies that isn’t overly sweet, and bears a distinct taste of rosewater. You should definitely make room for this dessert. DAVID: Coconut shines in this dessert with a pleasing blend and nice execution of dried and creamy coconut that shows the fruits depth. The crust is just doughy, soft and tender with an underlying hearty pleasantness. GLASGOW: If you love desserts like beignets or eclairs, you’re going to love the Cream Pakora, a yummy coconut-jaggery cream housed in a light pastry dough. It may look heavy but it was quite light, so enjoy to your heart’s (and stomach’s) content. 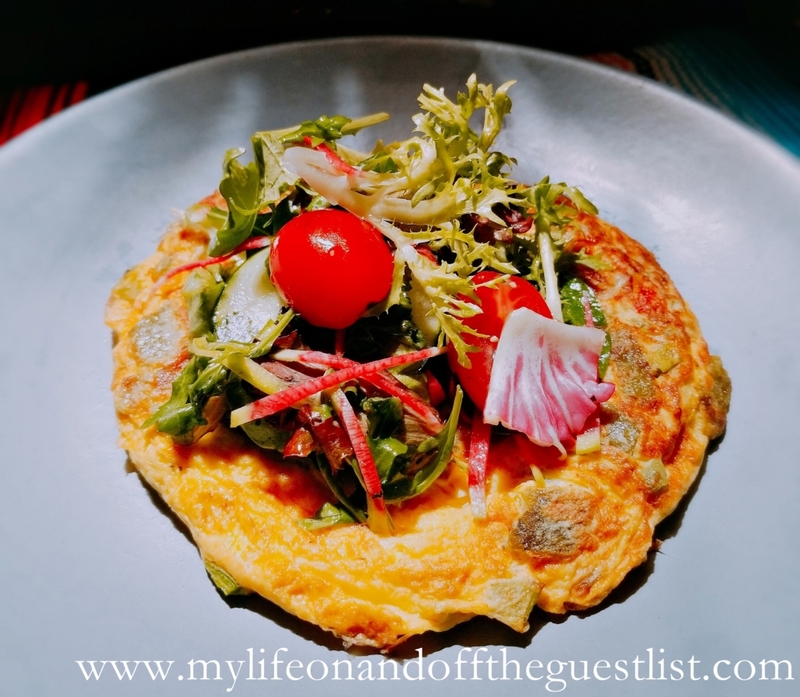 DAVID: The décor of Rahi Artisanal Indian Restaurant is charming like the collections of a “traveler” with a love for Indian roots and an eye for modern sensibilities. I was very pleased that their full bar also delved into the aesthetic of their establishment. This is a great location for Rahi and a necessary eatery to add and celebrate diversity to the neighborhood. GLASGOW: It’s not just the food that will transport you to India, the aromas and visuals of Rahi Artisanal Indian Restaurant. The tables are smaller to ensure an intimate setting for conversation and sharing. White modern chairs match the marble bar and brick walls, which highlight the black and gold mural, painted by artists, Yok & Sheryo. The dining area extends to a sunken level. 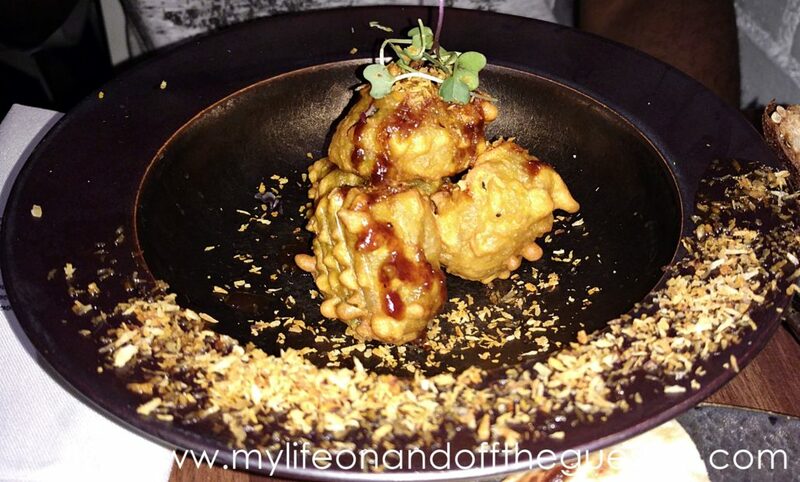 Take the Rahi Artisanal Indian Restaurant journey yourself at 60 Greenwich Avenue, (212) 373 8900. Is there anything better than the deep-fried and sweet mounds of yumminess that are doughnuts? If there ever was a sweet treat to be celebrated, it is doughnuts. It’s impossible to dislike them, and thankfully we got to properly celebrate the dessert! 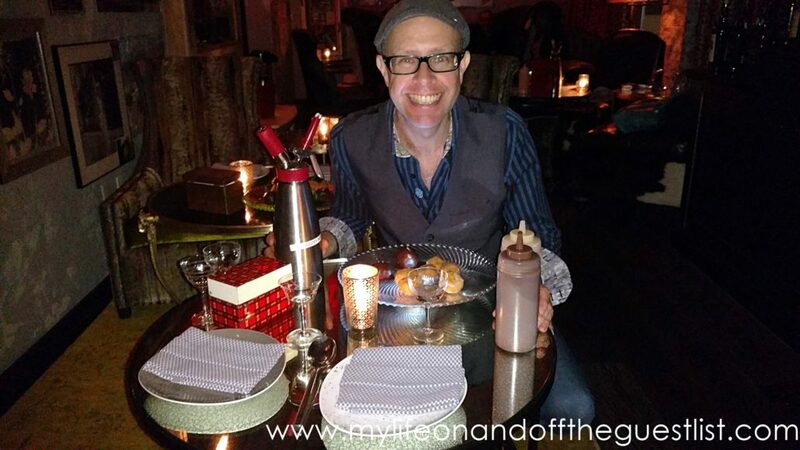 In honor of this very important desert food, acclaimed mixologist Adam Seger hosts Drunken Doughnuts at The Tuck Room NYC, the newest hotspot located in New York’s South Street Seaport EVERY Thursday evening. The months’ old bar (it’s just a little over 6 months old) is lively and intimate all at once. We had the pleasure of partaking in this amazing blend of confectionery and cocktail heaven just in time for National Doughnut Day. 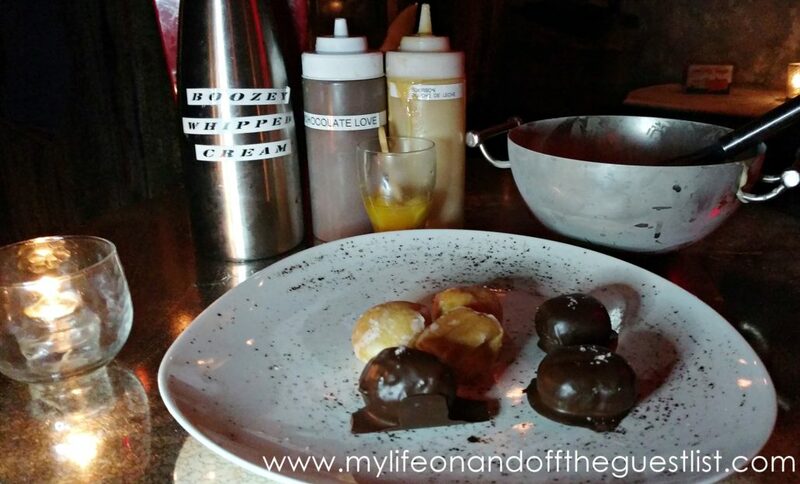 These alcohol-infused, bite-sized doughnuts bring new meaning to the term Amuse-bouche because your mouth (along with your taste buds and stomachs) will be so happy once they indulge in these boozy doughnut holes. 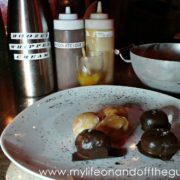 Our night’s indulgence included two types of doughnut holes, Old-fashioned Glazed, and Double Valrhona Fleur de Sel (chocolate covered holes topped with sea salt). What makes these doughnuts “drunken” are the accompanying boozy sauces and sides including the decadent Bourbon Dulce de Leche Sauce, Boyd & Blair 151 Vodka Cardamom Whipped Cream, Pimm’s Spiked Mango, Pineapple, Habanero Marmalade, Dark Rum & Cognac Chocolate Sauce, and last but certainly not least, a boozy Cereal Milk Ice Cream. Fair warning to those of you who will no doubt enjoy this experience, these boozy sauces, and sides do not have “essence of alcohol” or “flavored with alcohol”, these are made with full on booze, you can definitely get tipsy off this experience. The whipped cream and marmalade by themselves are enough to knock you off your sober feet. 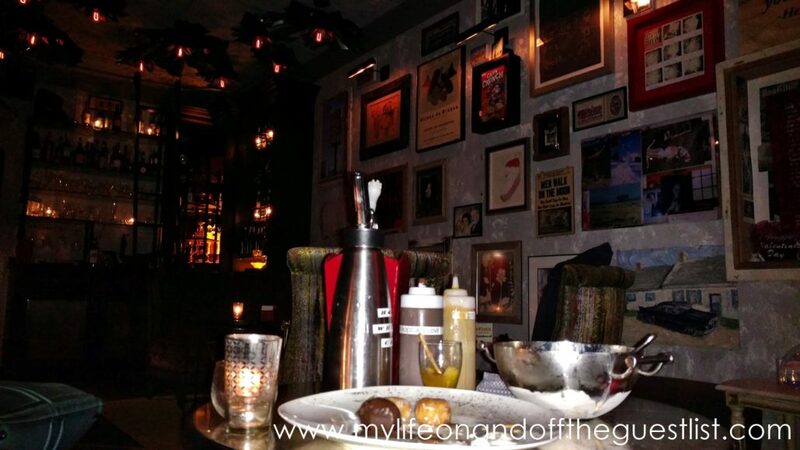 To experience Drunken Doughnuts at The Tuck Room NYC, you’re escorted to a secret room behind a bookcase called the Green Room, a dimly lit hidden enclave few will notice if not paying attention. 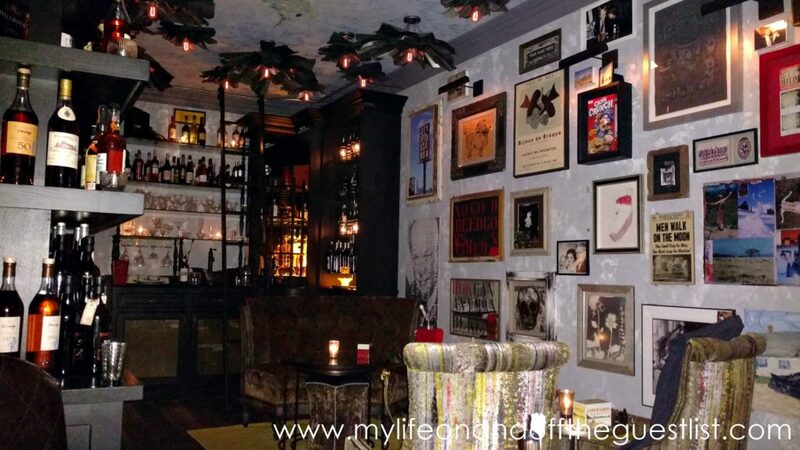 Surrounded by bottles of alcohol, walls filled with photos of iconic, framed photos, and a vast library of infused spirits curated by Master Bartender and Advanced Sommelier Adam Seger, created with The Tuck Room’s Heizenberg machine, you and your guests will greatly enjoy this modern speakeasy’s secret room. All this was enjoyed at the end of this adventurous evening. Our evening of Drunken Doughnuts at The Tuck Room NYC begun with some very interesting and amazing Heizenberg infused cocktails. We decided to go with whatever cocktails were placed in from of us by the wonderful and attentive bar staff, Adam called it “Autopilot”. The cocktails we enjoyed included the DrinkupNY, consisting of Balsam Magnolia Blossom Oolong New York Aperitif Wine, Perrier, and lemon; a modern interpretation of a Sidecar, featuring an infusion of Luxe Pierre Ferrand, California Nectarines, Nutmeg, and Sage with a float of Prosecco on top; a libation inspired by an English cocktail with Ginger bitters, Chartreuse, Cognac, and Fresh Lemon Juice; and a cocktail infused with Tequila, Fresh Cherries, Pomegranate, and lime. Since man can’t live by cocktails alone, we dined on wonderful starters by James Beard Award-winning chef Sherry Yard. 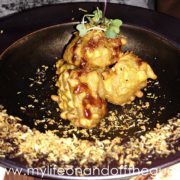 These savory balls of yumminess were the perfect foodie delights to begin our culinary journey with The Tuck Room NYC. Each bit is filled with delicious crispy pastrami, swiss cheese, sauerkraut, and sits upon a “thousand island” sauce. 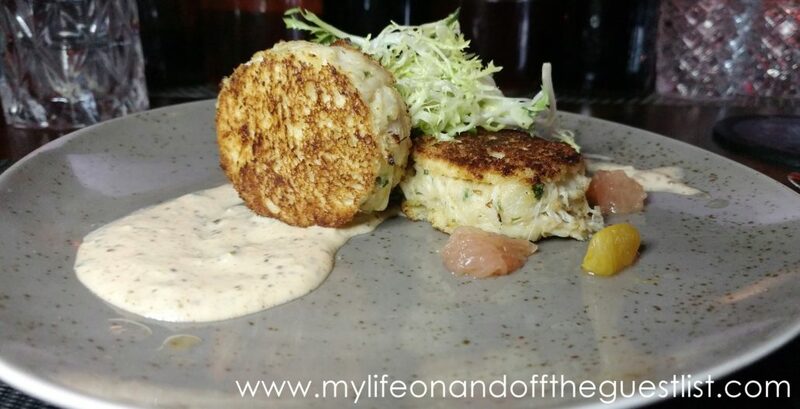 Just when I thought I’d tasted heaven with the Rueben Croquettes, the crab cakes, which featured Old Bay Remoulade, Frisée + Citrus Salad, and Yuzu Vinaigrette took that feeling to another level. 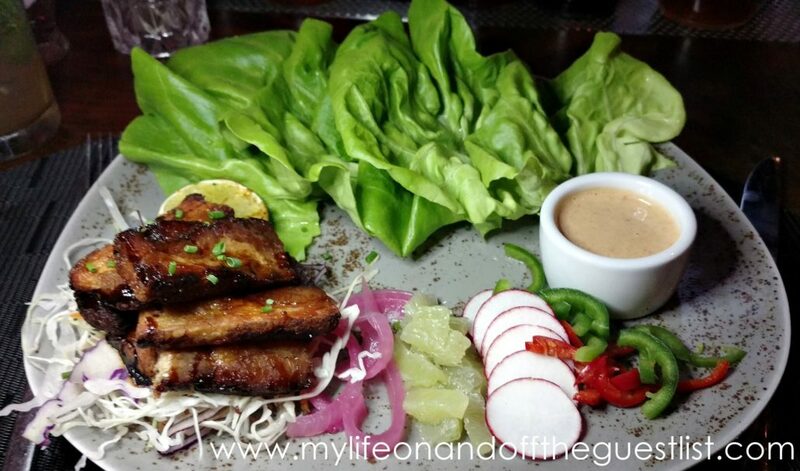 Last but not least on the foodie adventure before our sweet tooth journey begun was the above pork belly wraps featuring Butter Lettuce, Nuoc Cham Caramel, Limes, Radishes, Jalapeño, Fresno Chile Aioli, and Cilantro. All this was enjoyed while sitting at the bar, listening to what could only be called as the perfect classic bar music, as episodes of BarTales (the new single-city documentary series featuring Dale DeGroff, Gaz Regan, Adam Seger, and David Wondrich) plays on the flat screen directly above. This entire evening felt like we crossed something off our bucket list. We promise you will enjoy everything about Drunken Doughnuts at The Tuck Room. 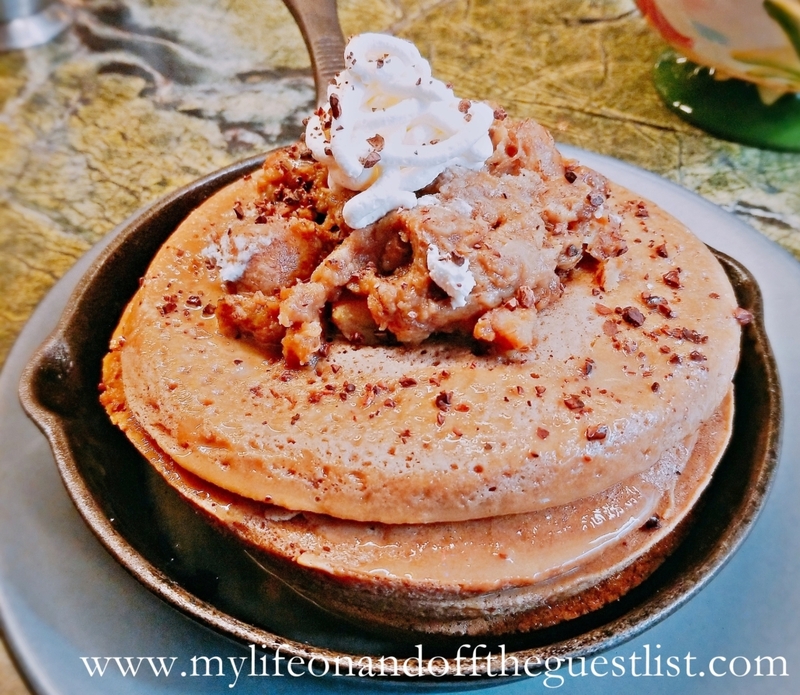 So if you’re looking for an amazingly delicious and intoxicating foodie experience, head over to the South Street Seaport and indulge in a night of Drunken Doughnuts at The Tuck Room NYC.